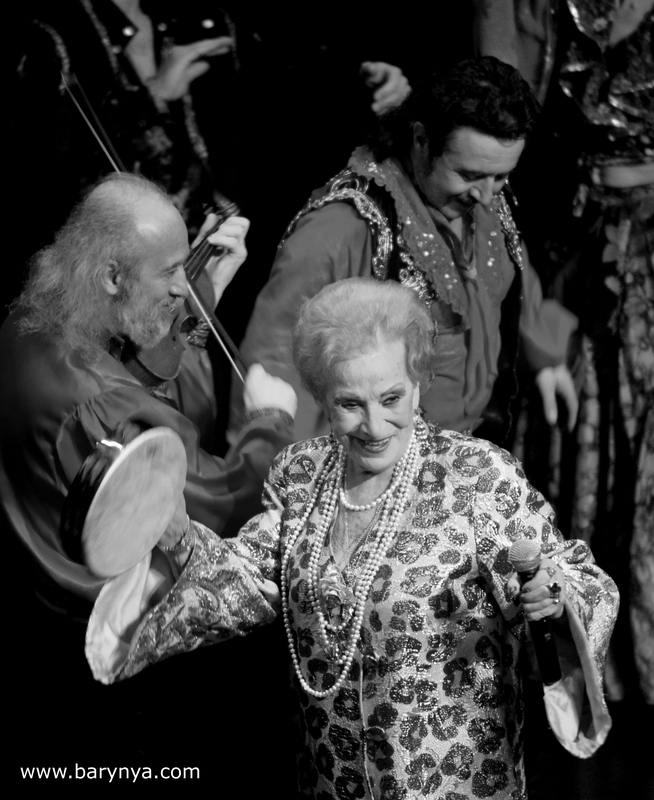 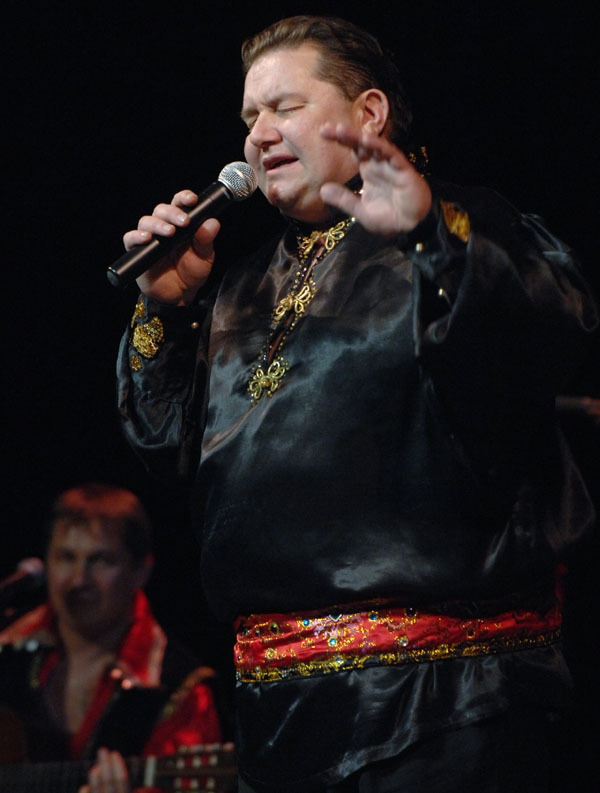 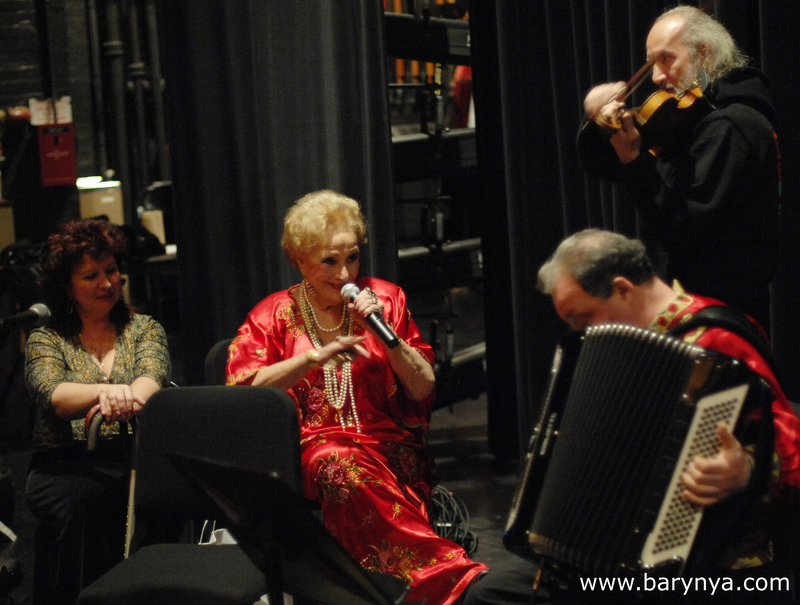 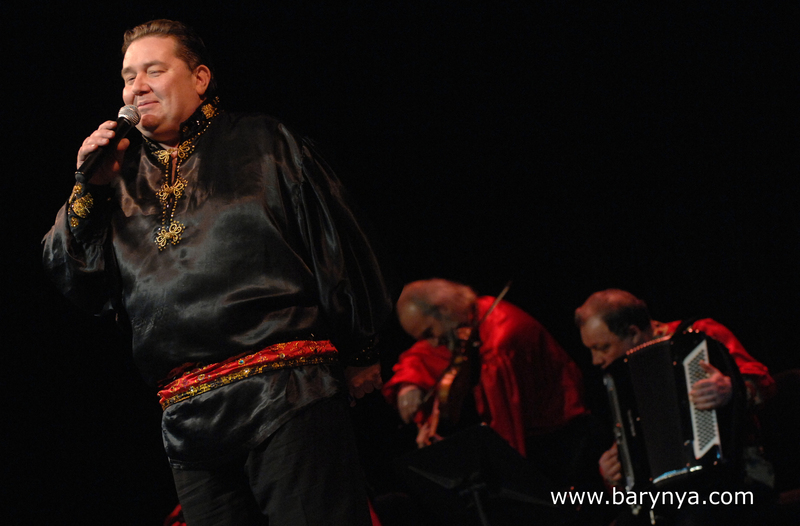 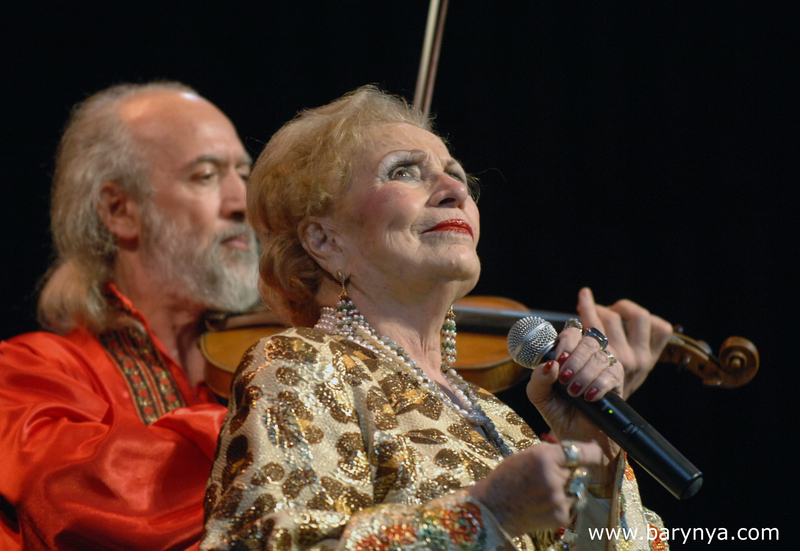 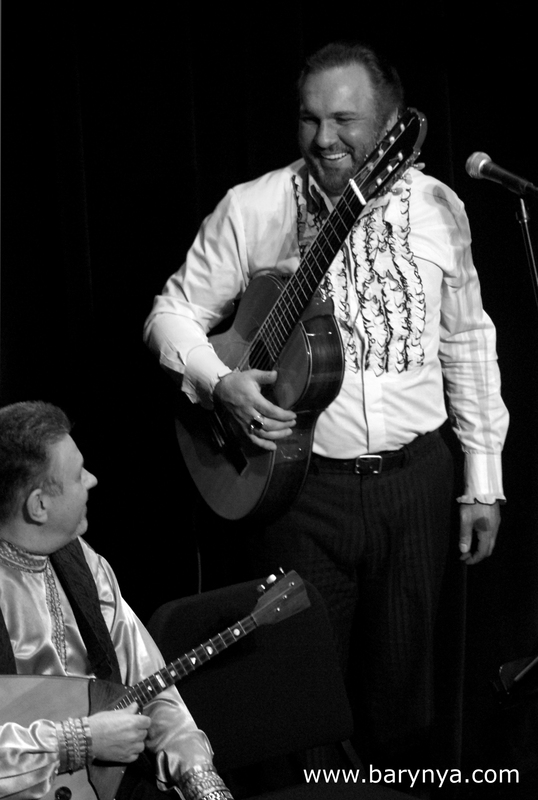 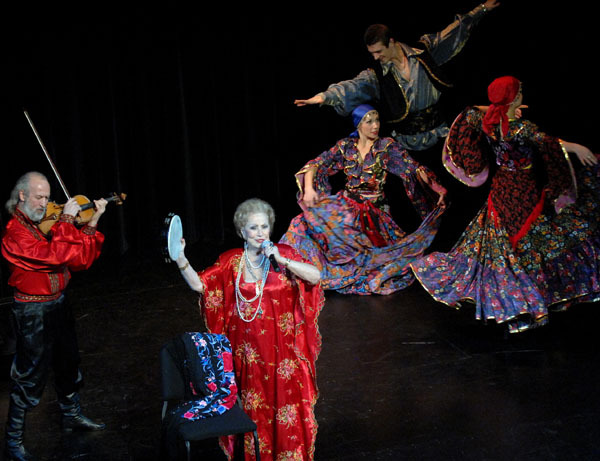 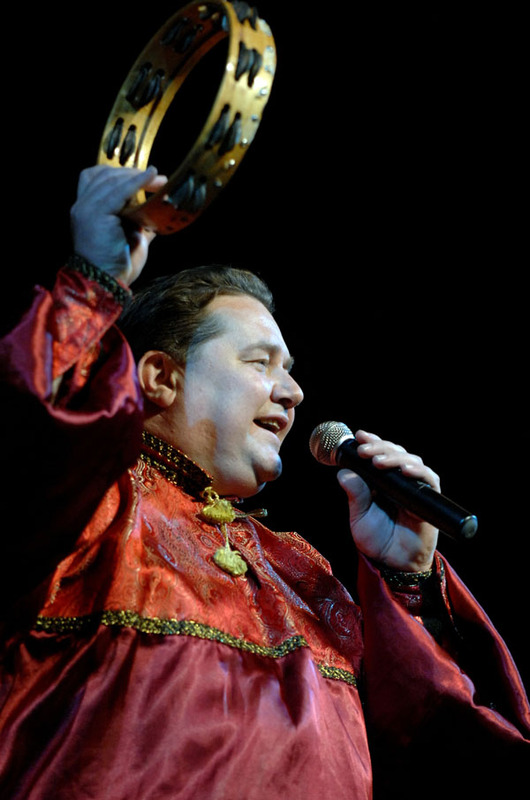 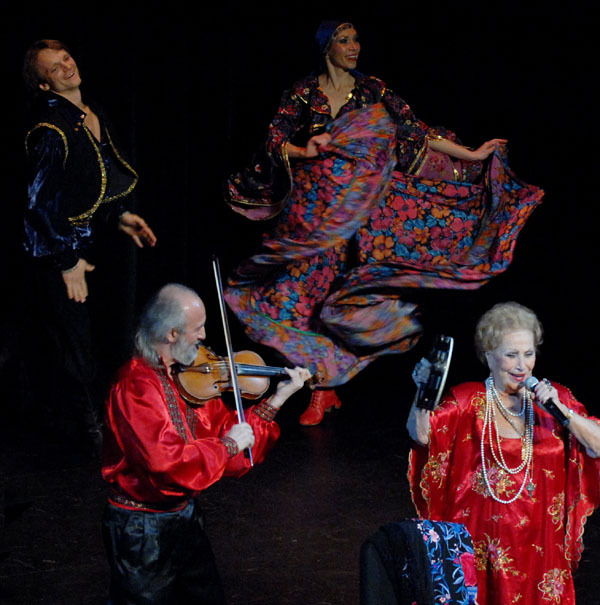 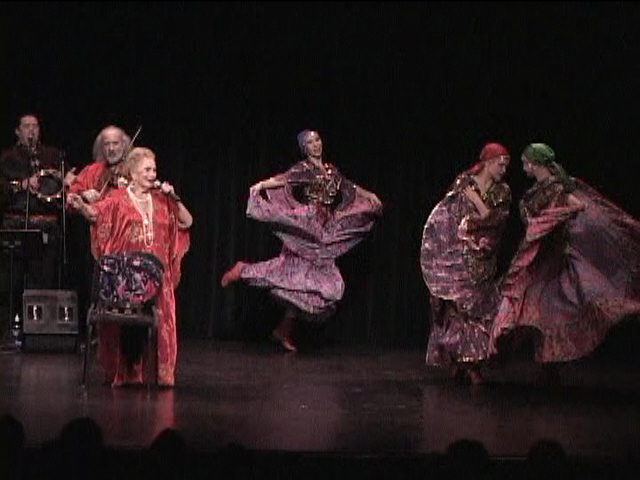 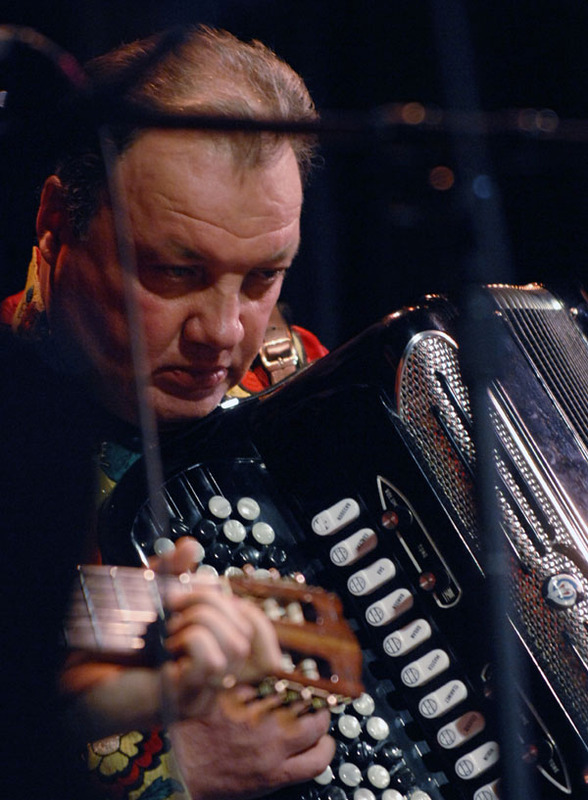 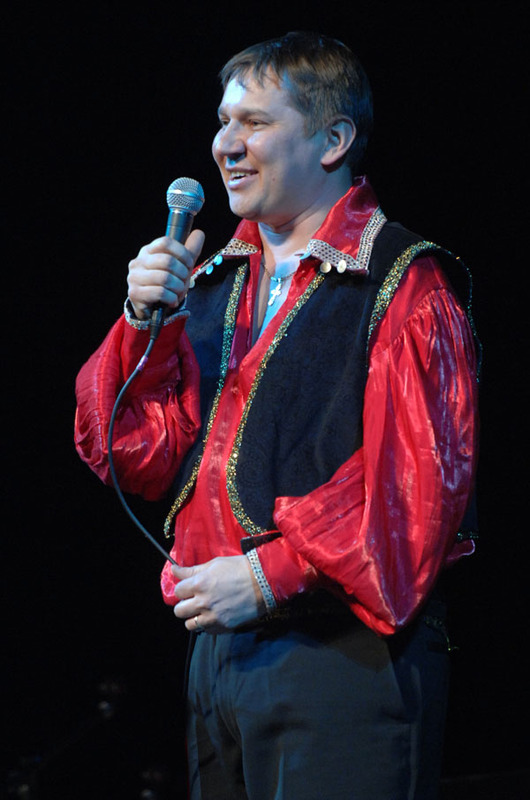 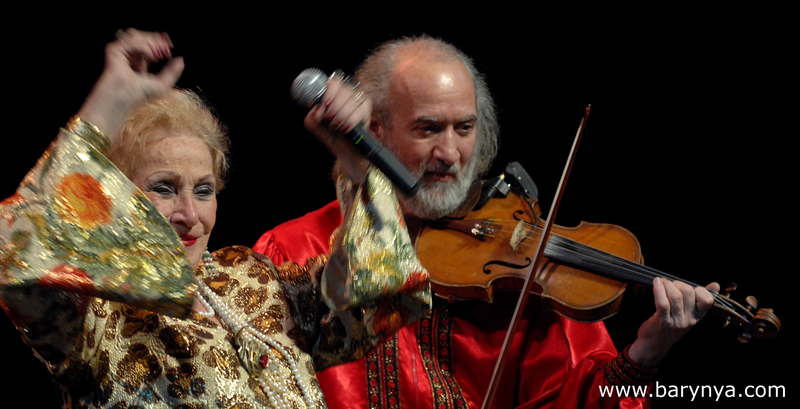 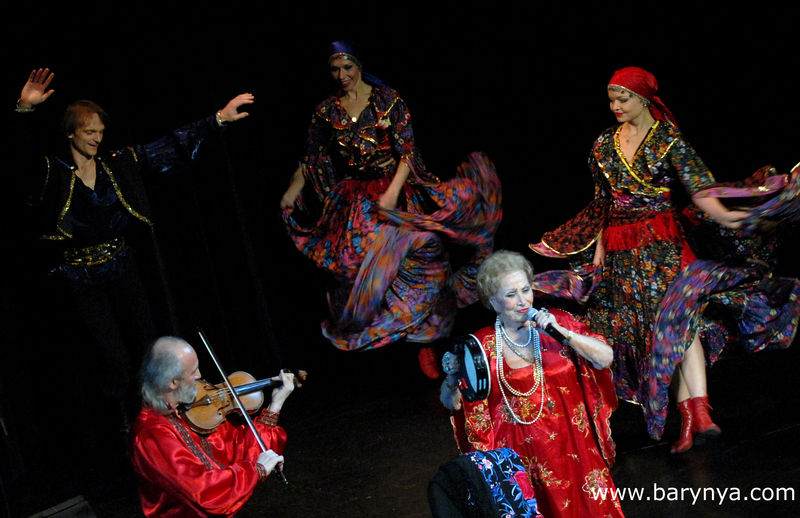 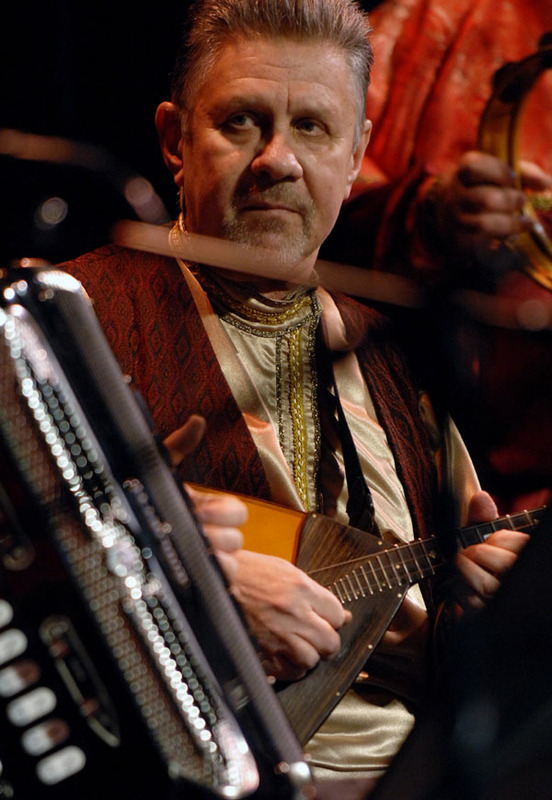 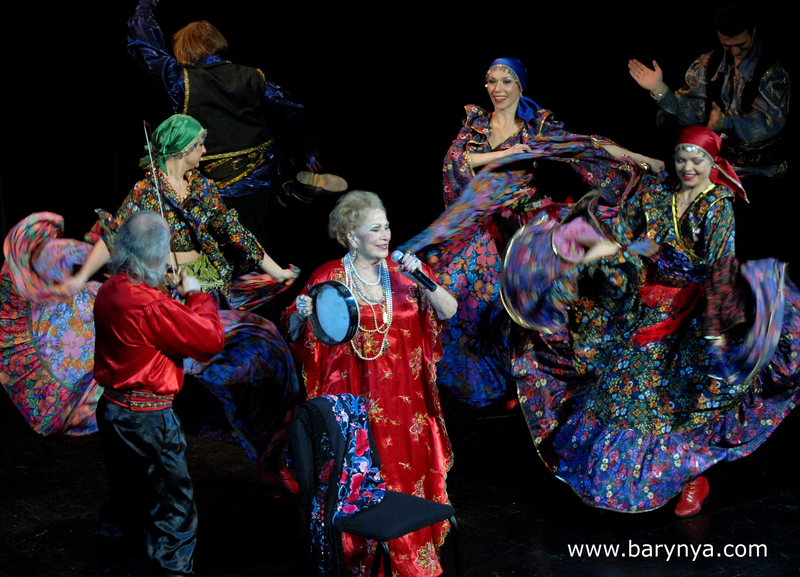 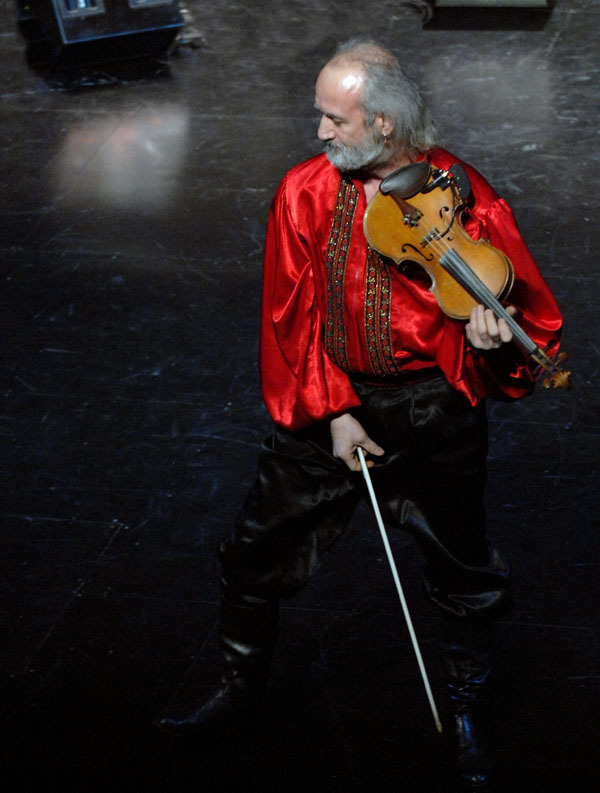 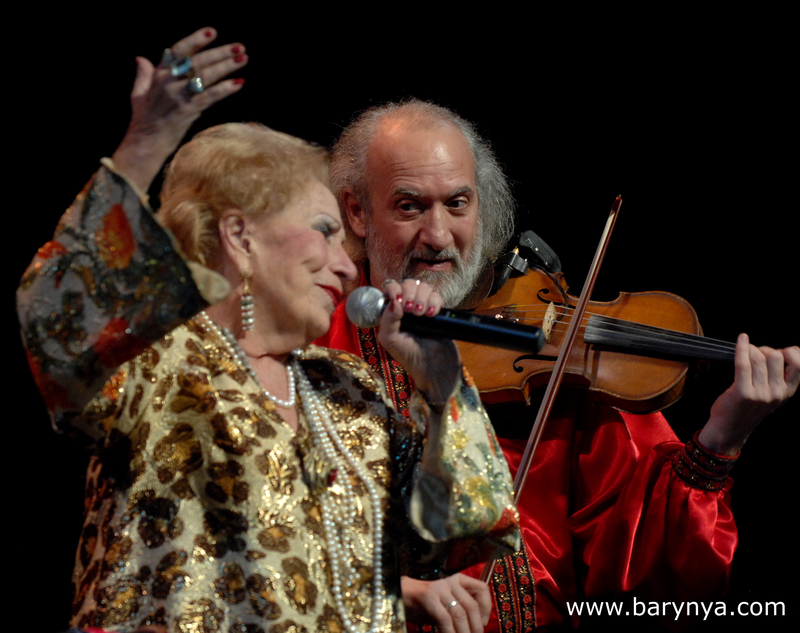 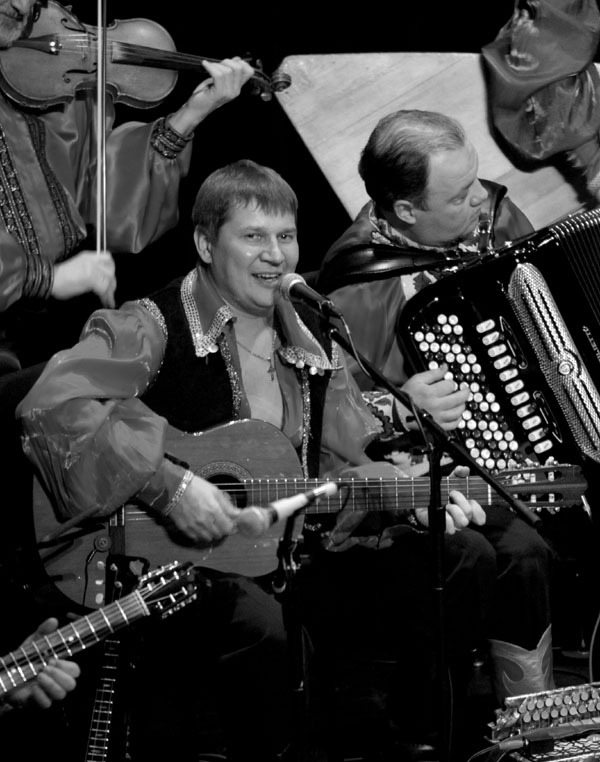 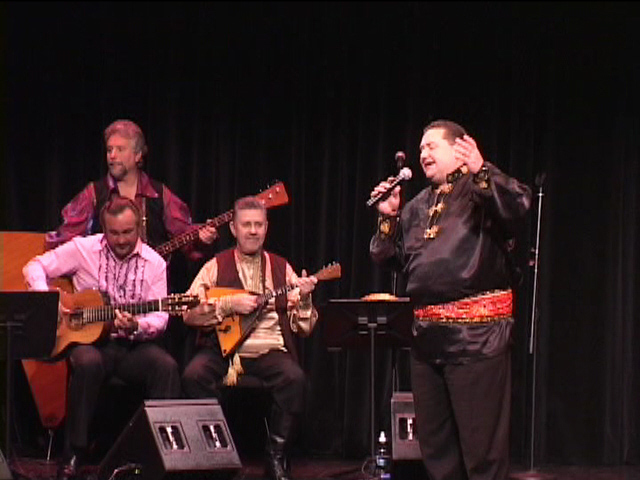 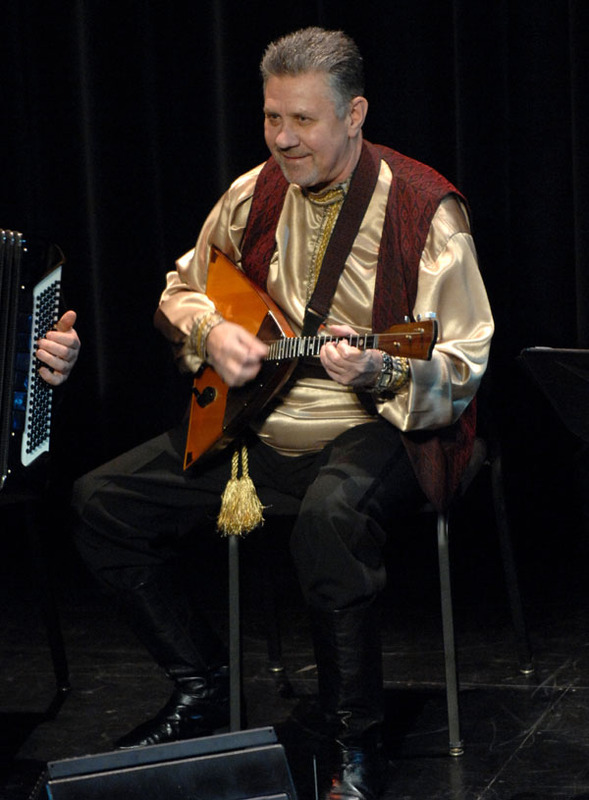 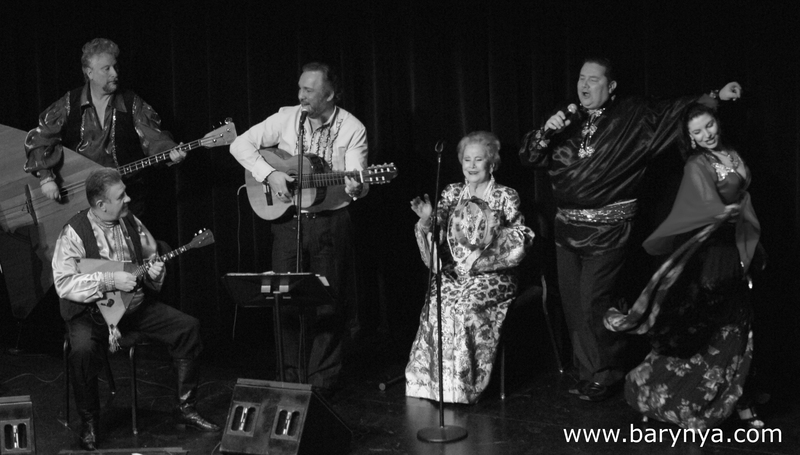 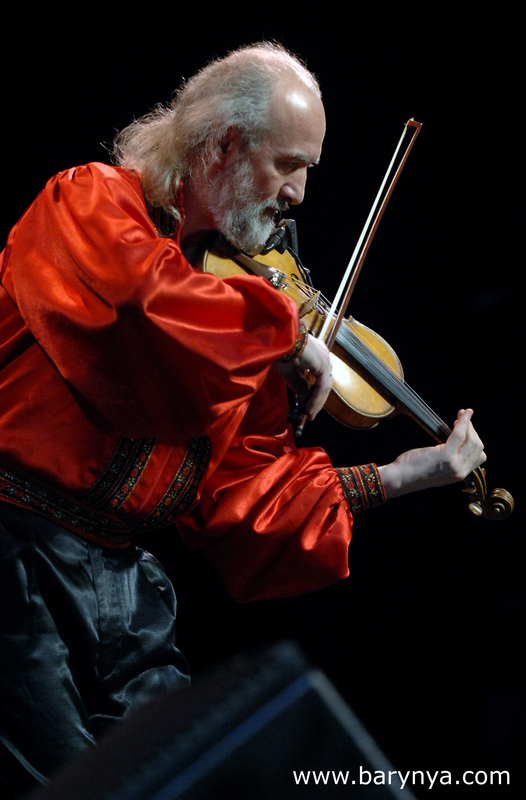 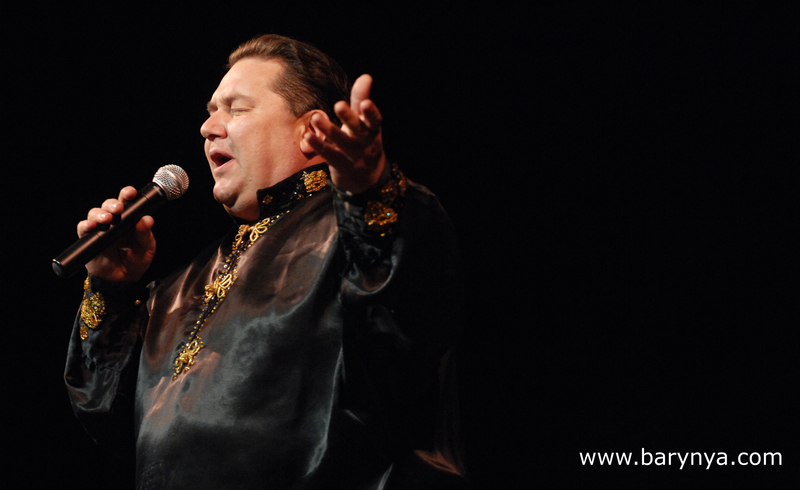 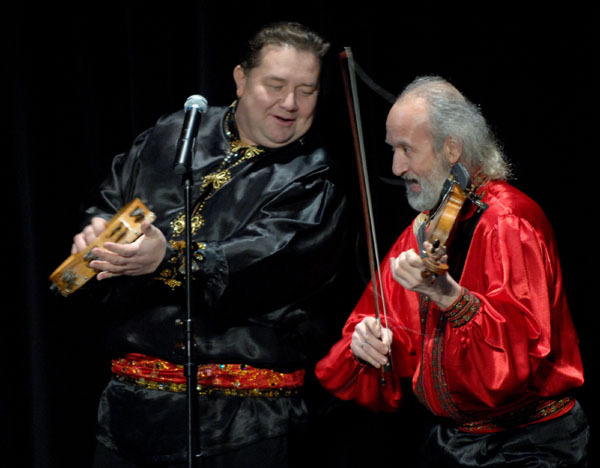 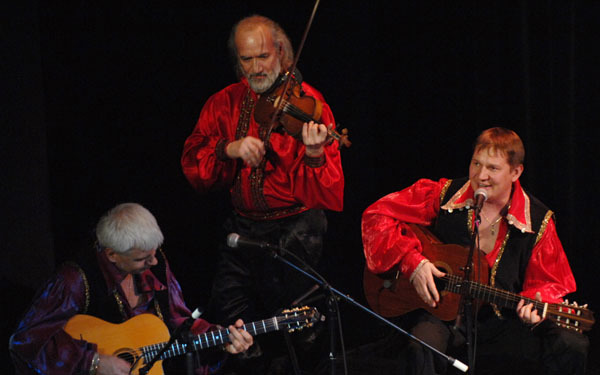 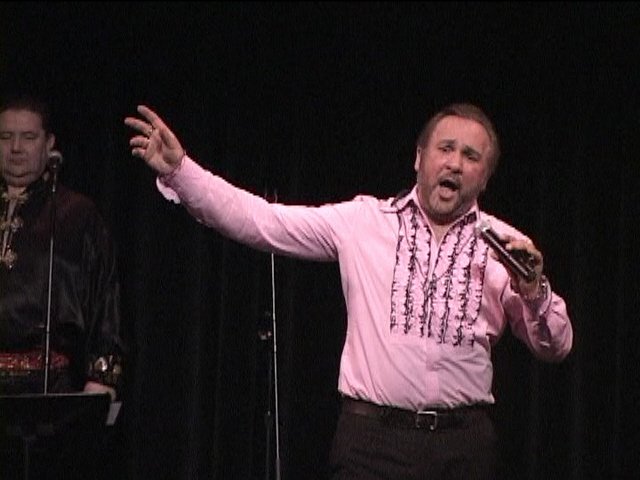 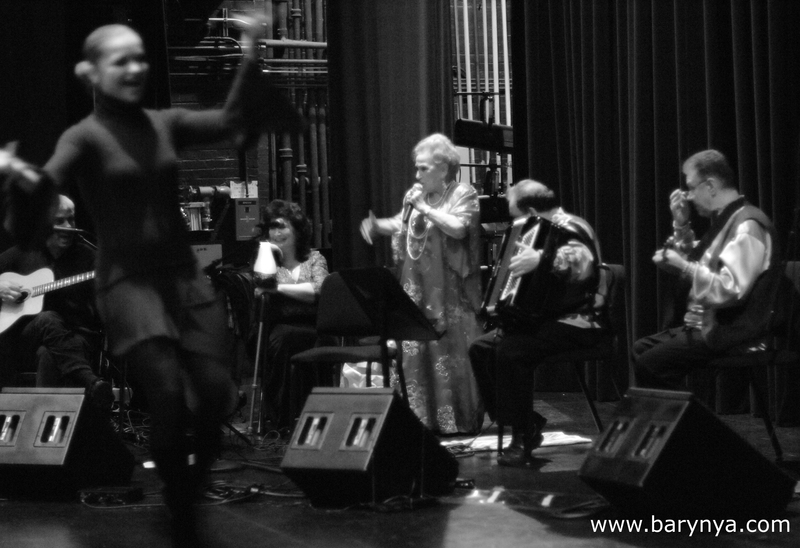 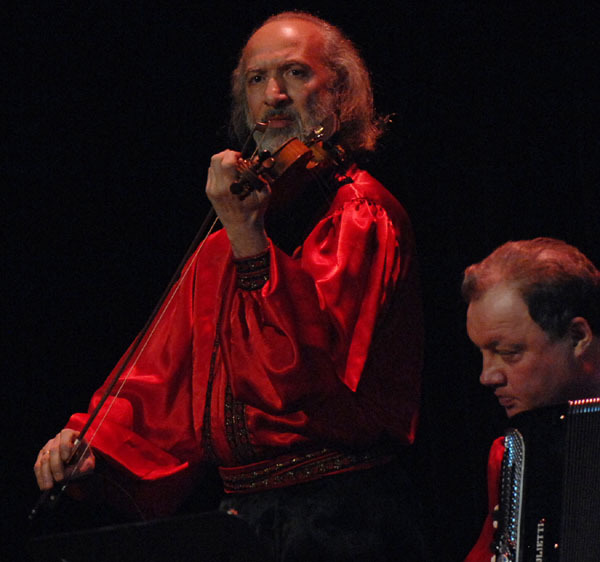 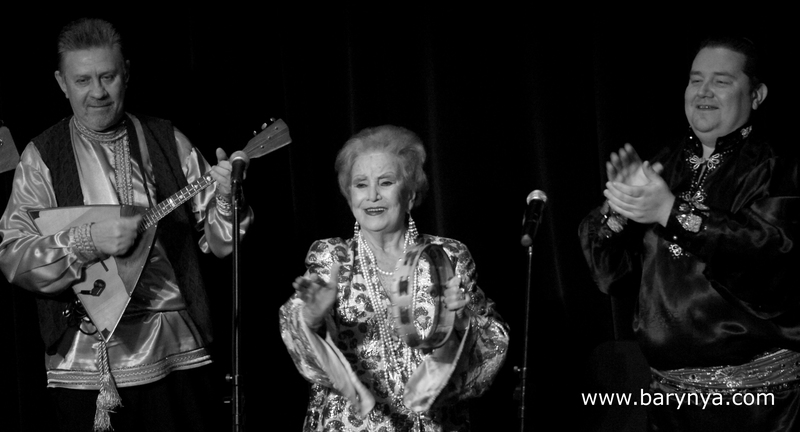 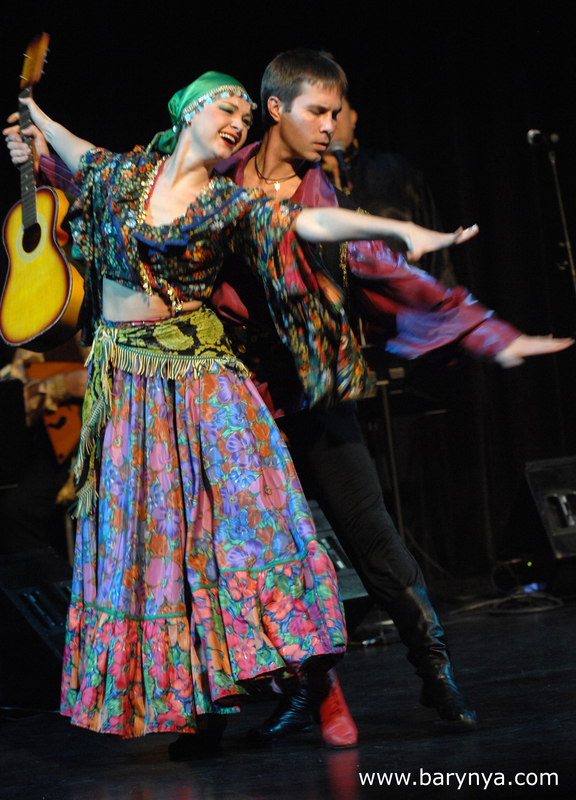 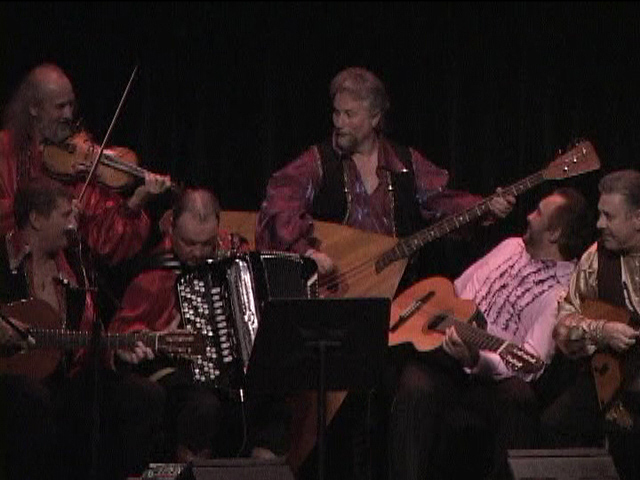 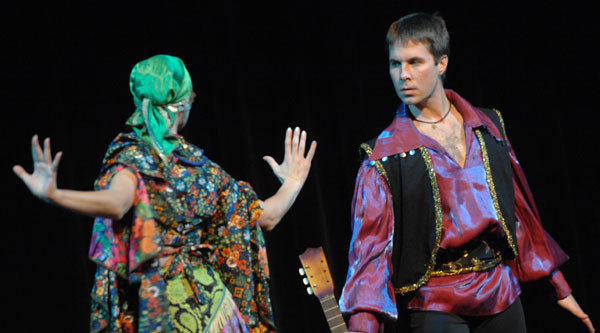 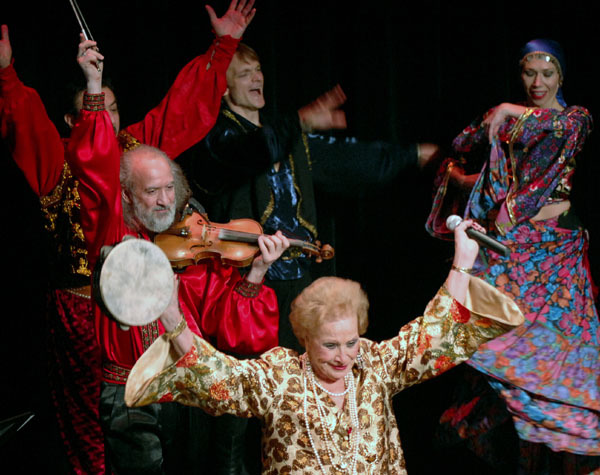 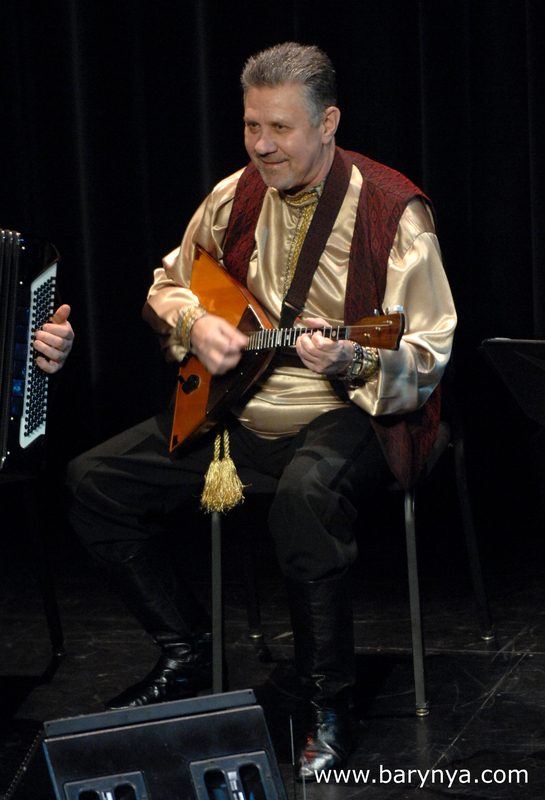 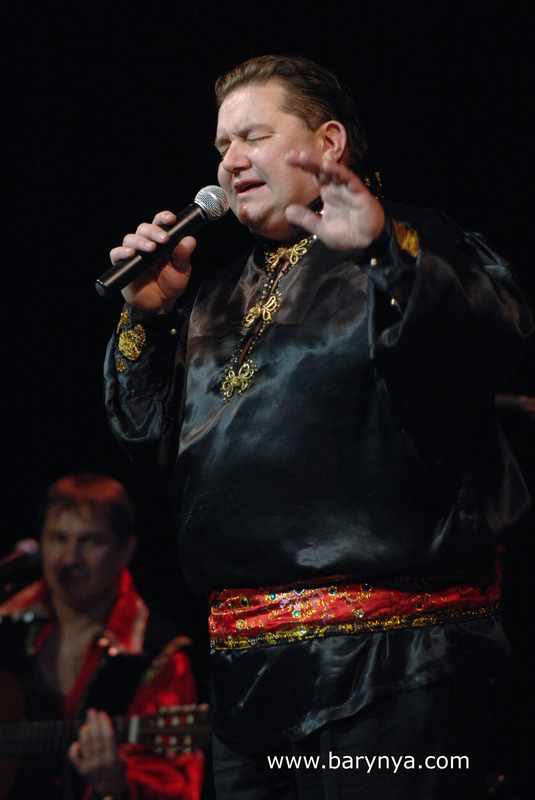 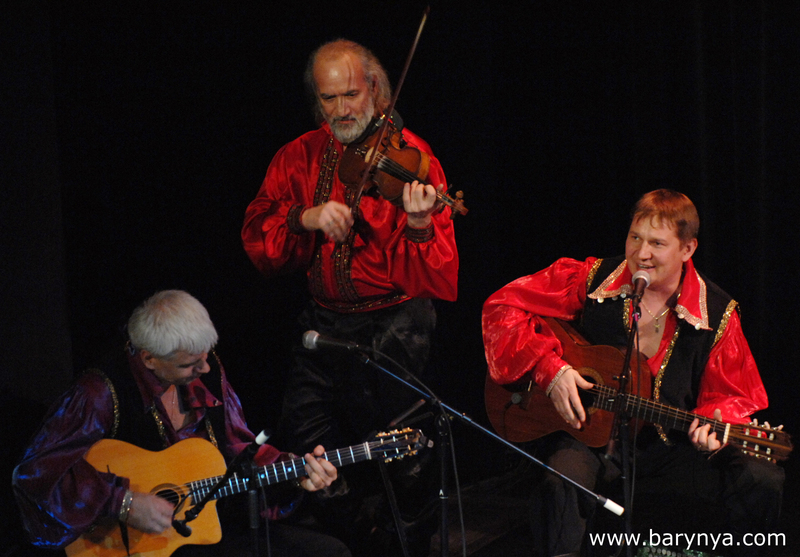 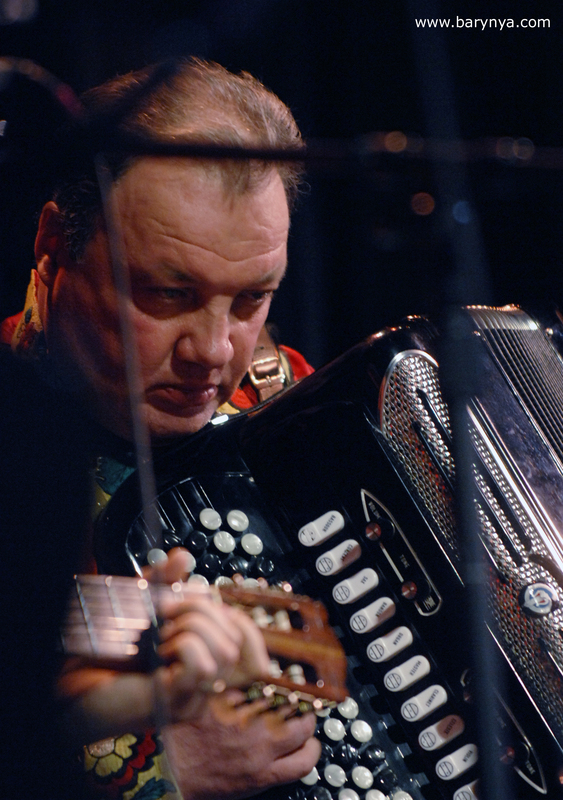 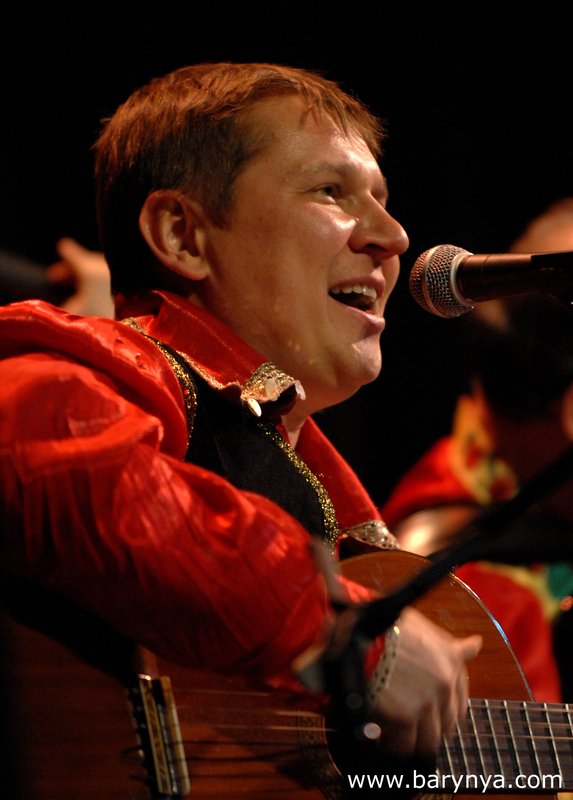 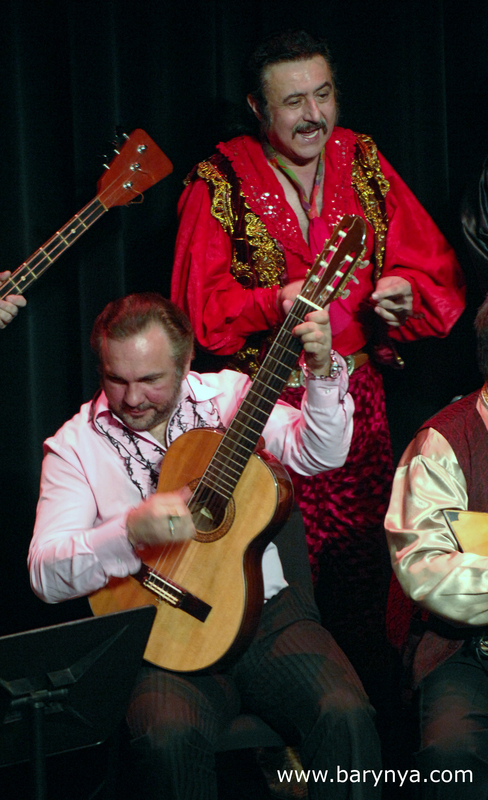 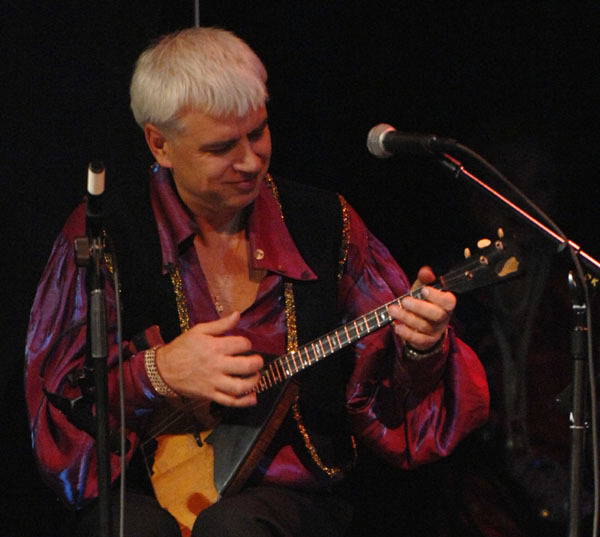 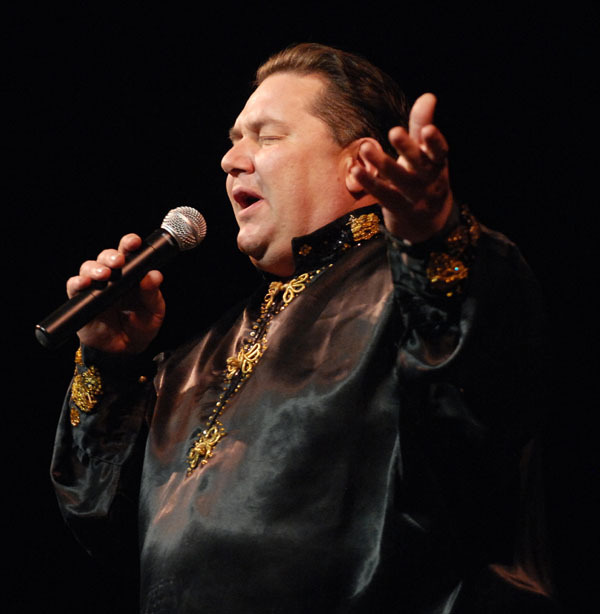 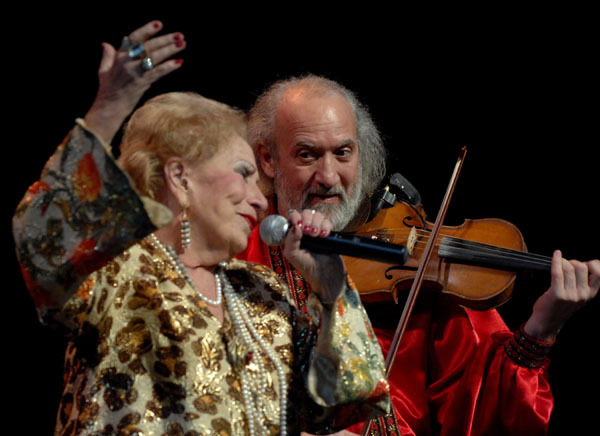 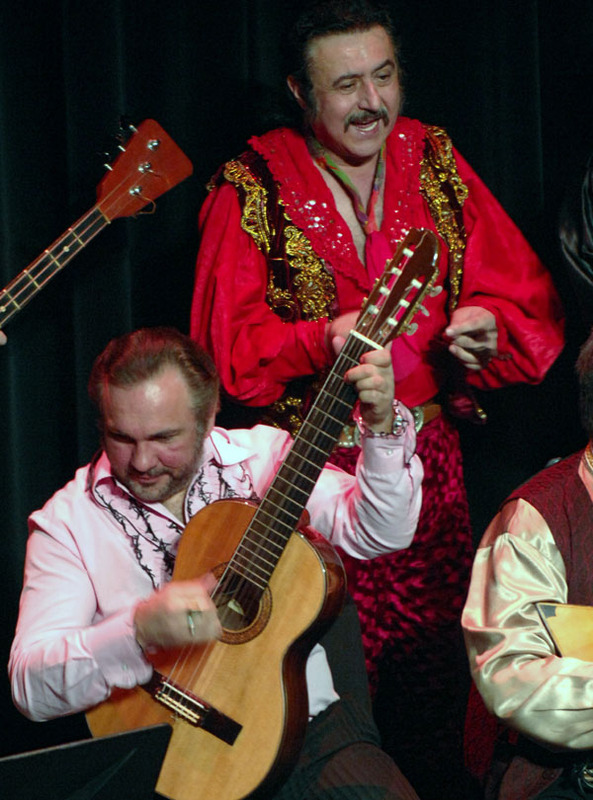 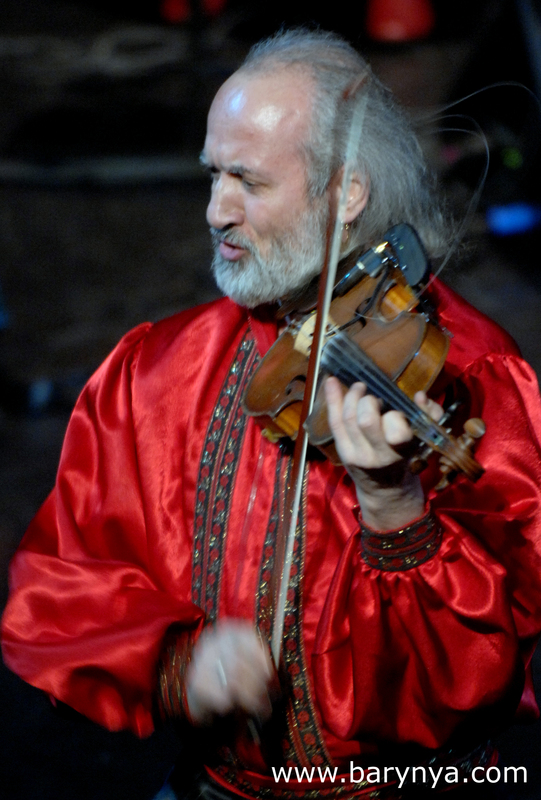 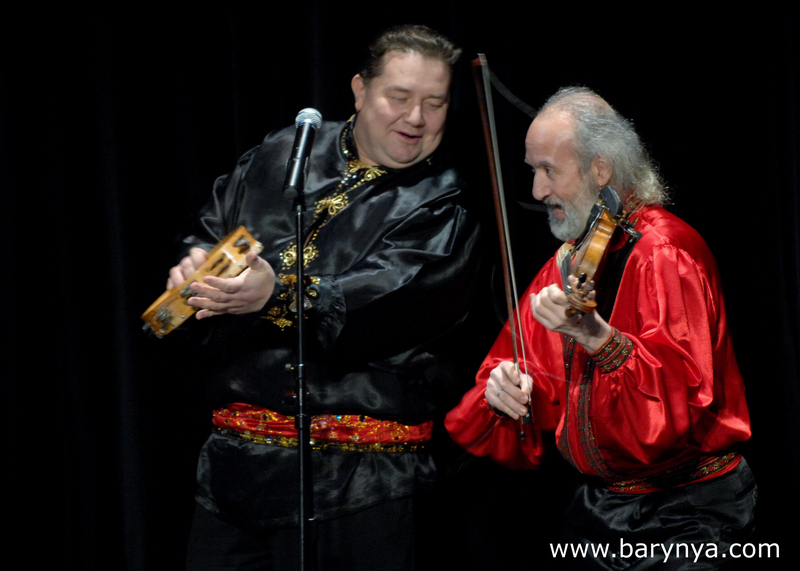 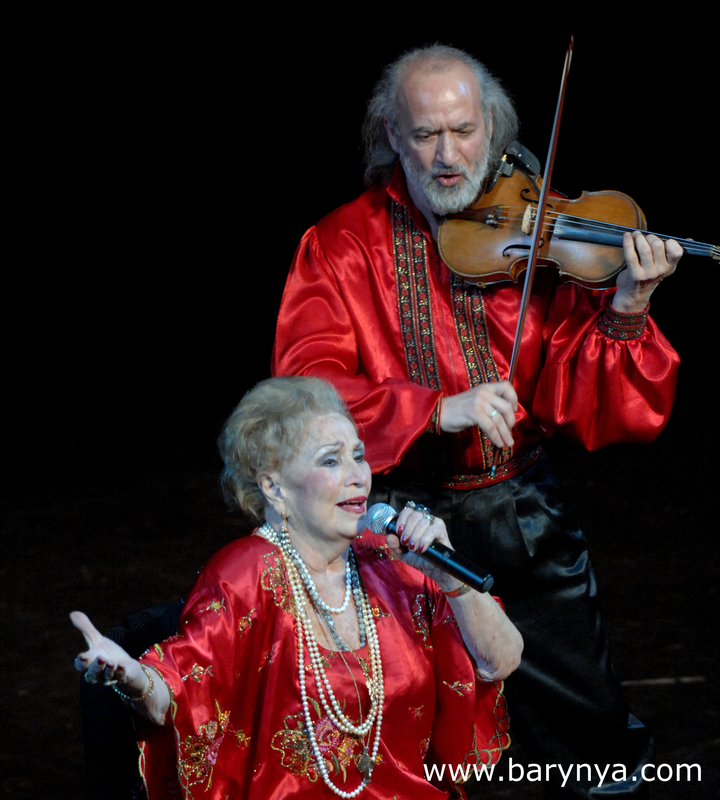 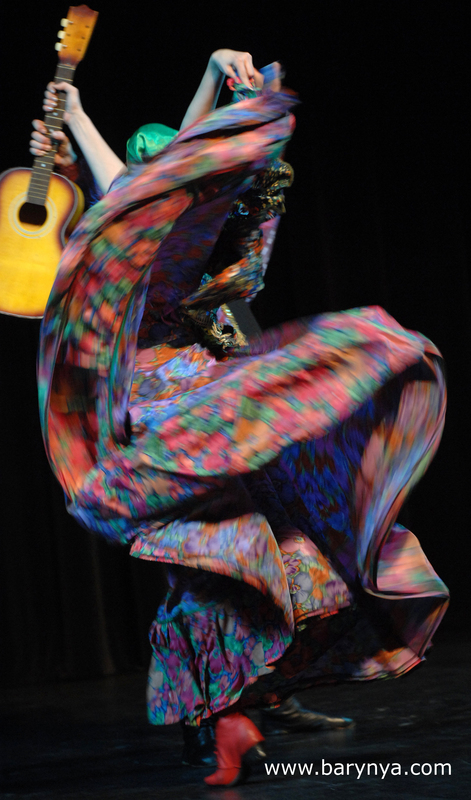 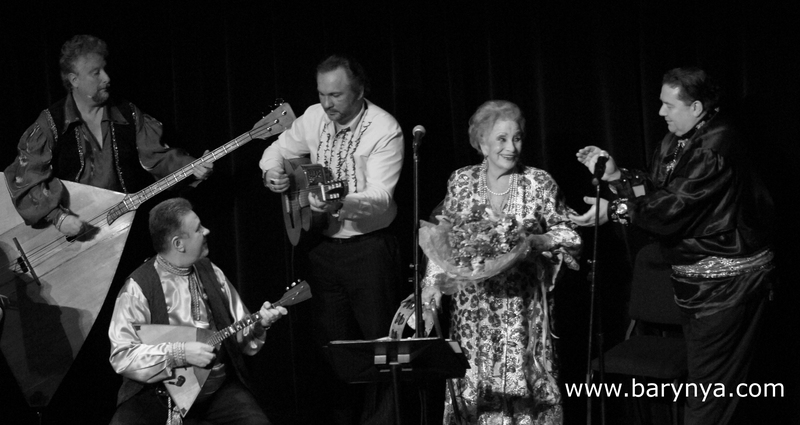 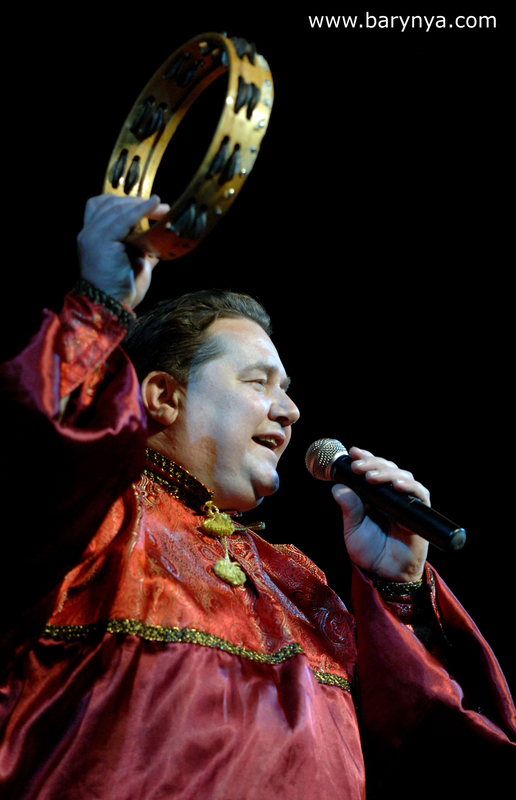 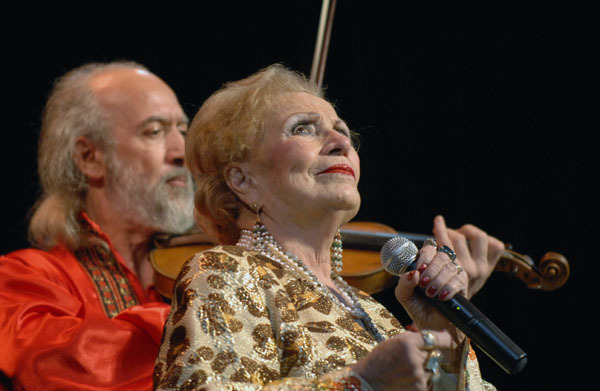 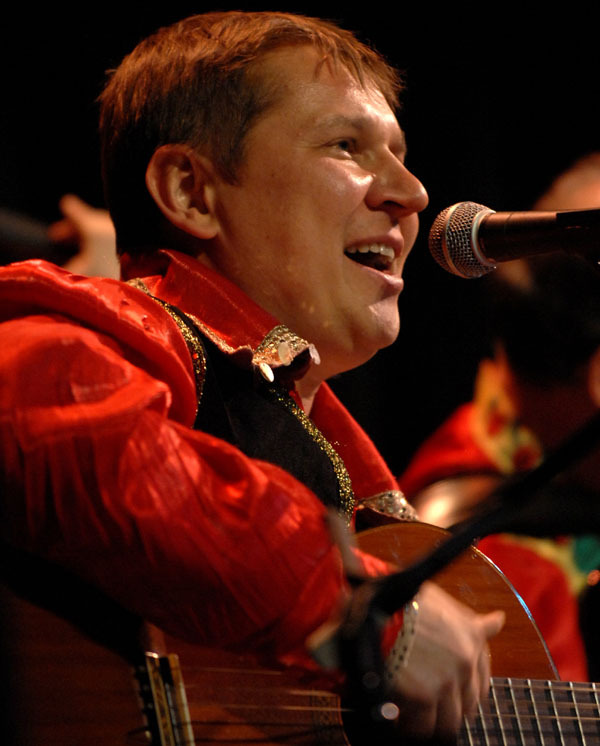 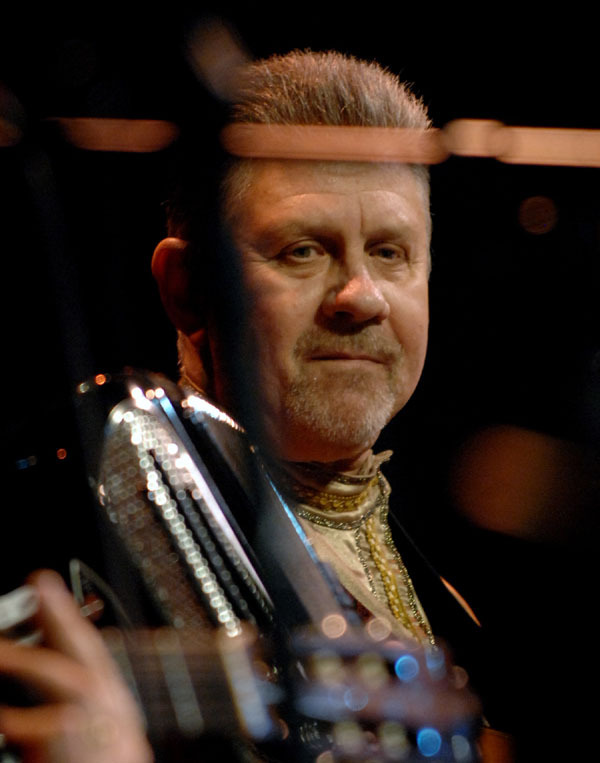 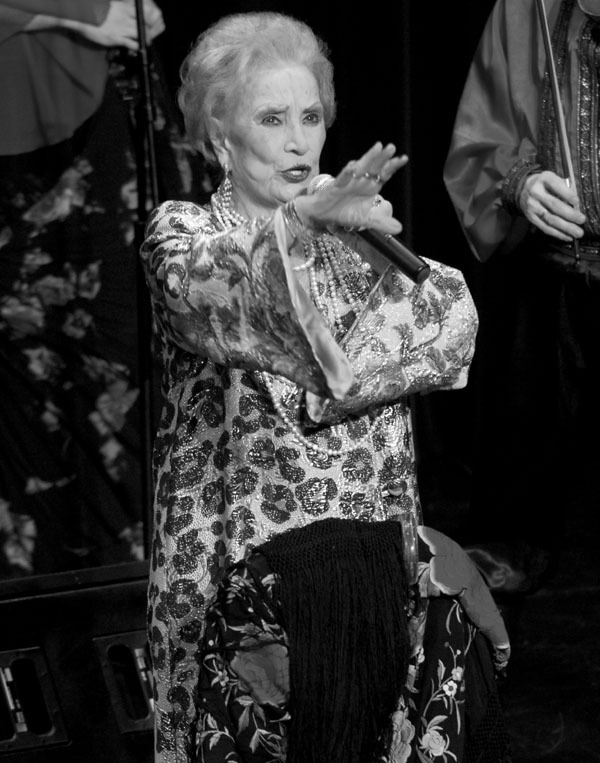 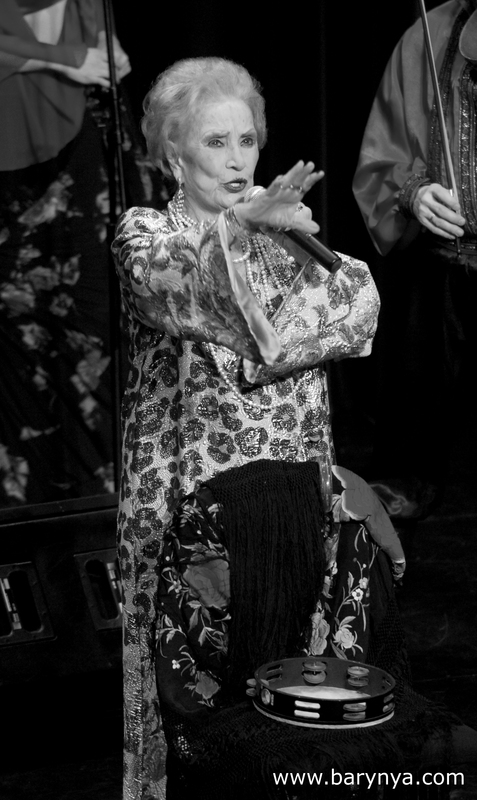 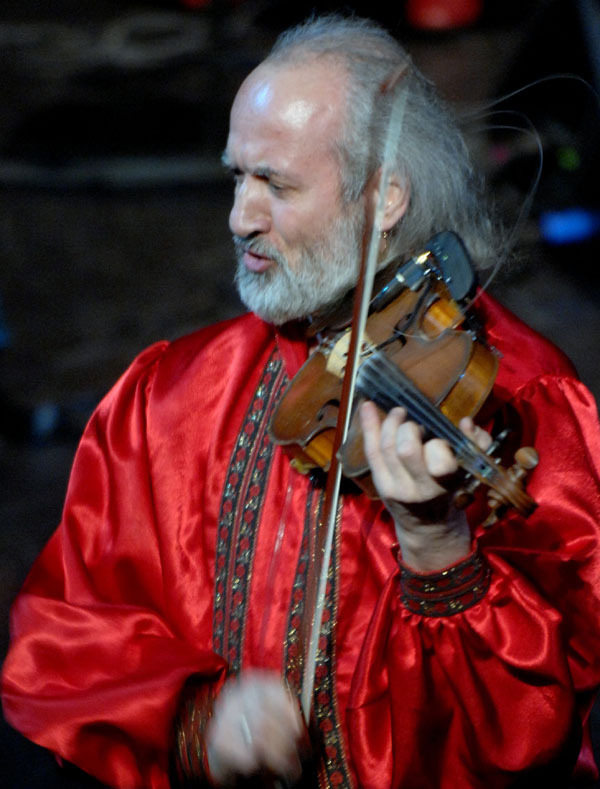 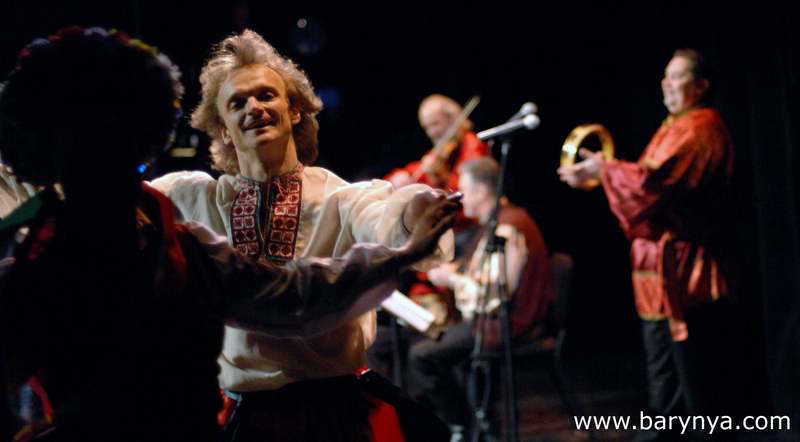 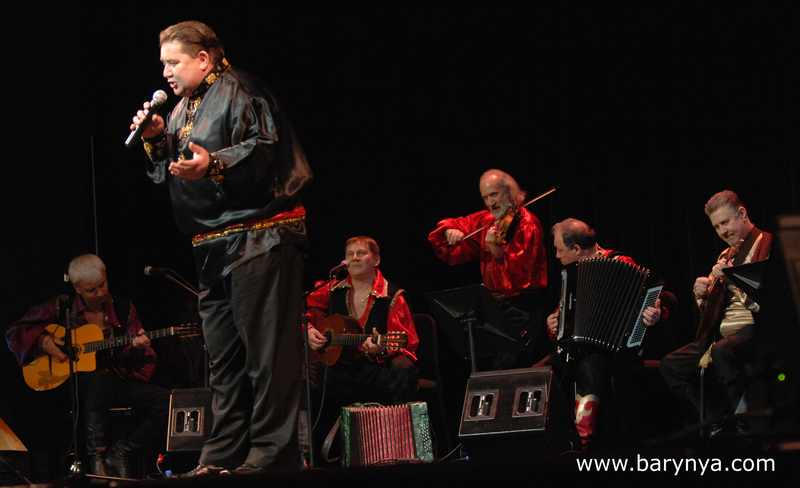 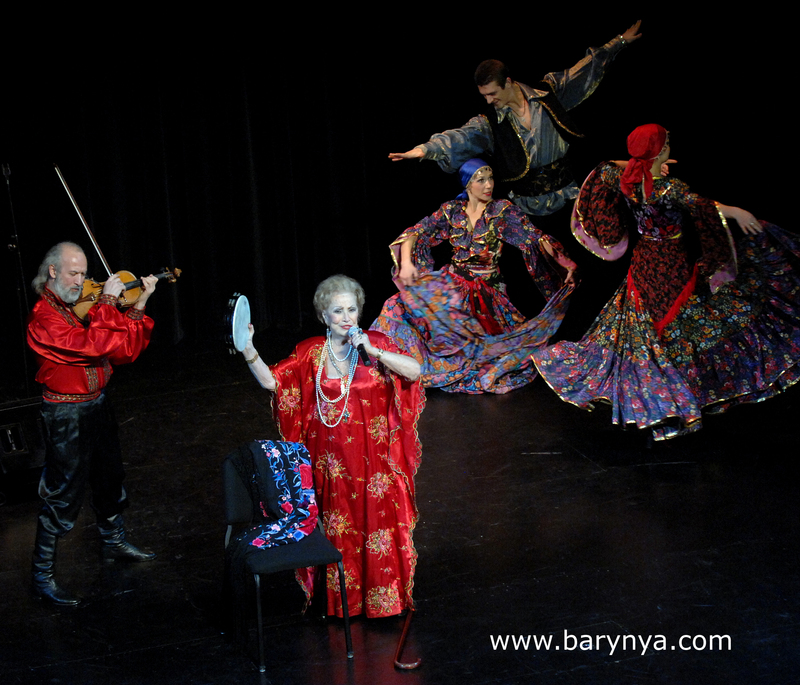 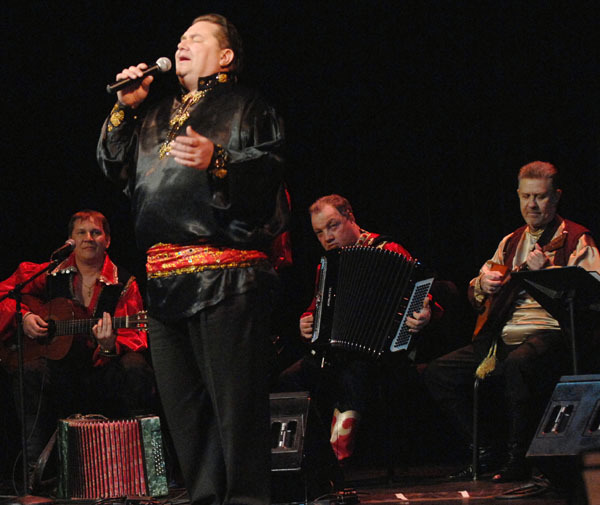 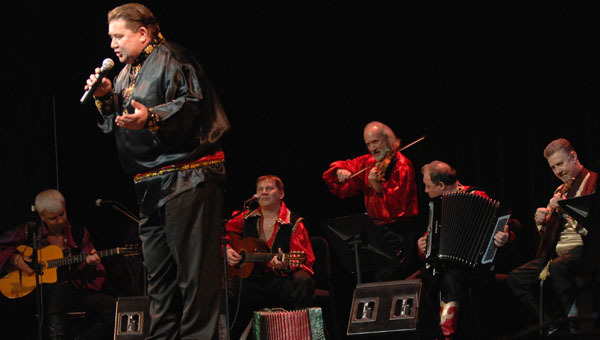 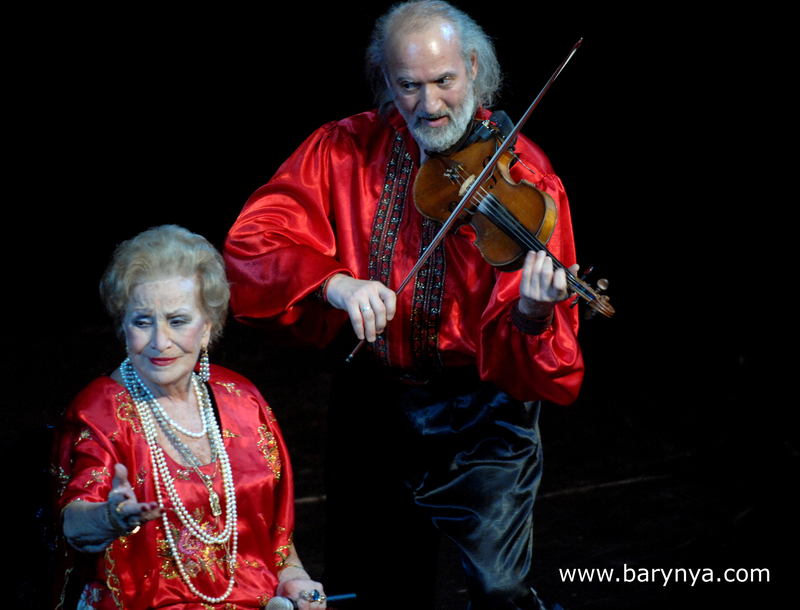 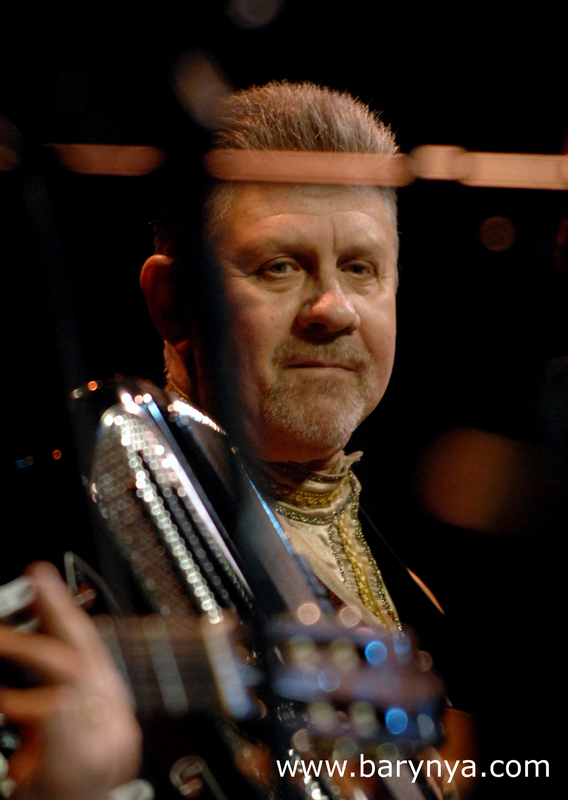 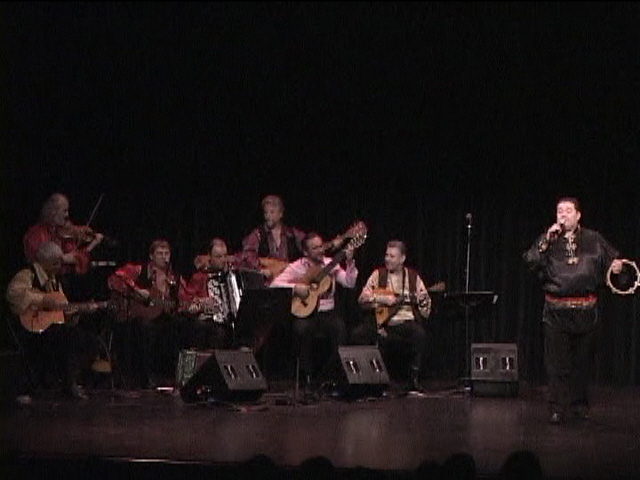 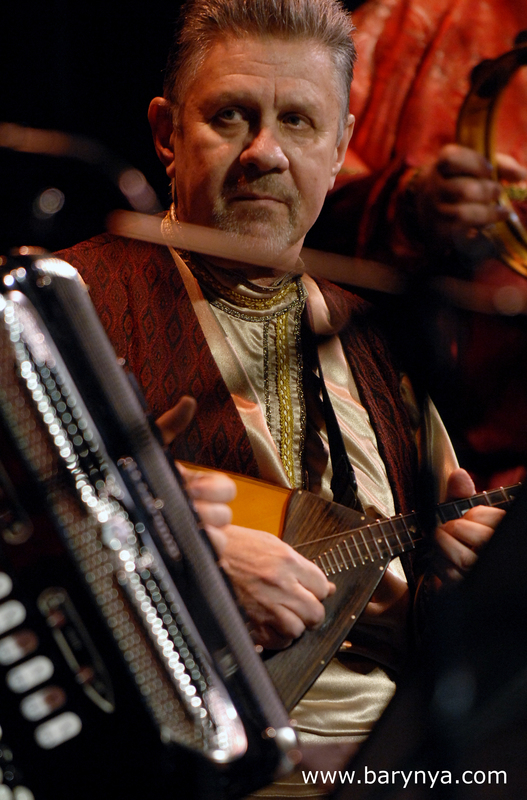 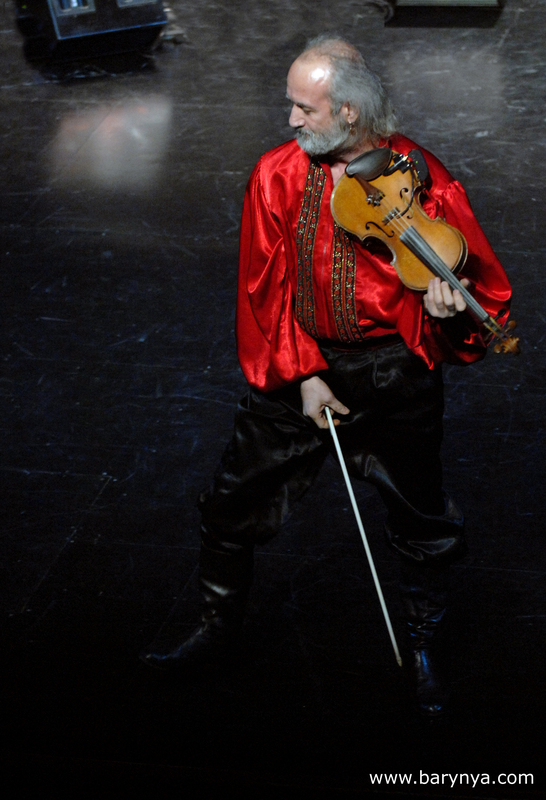 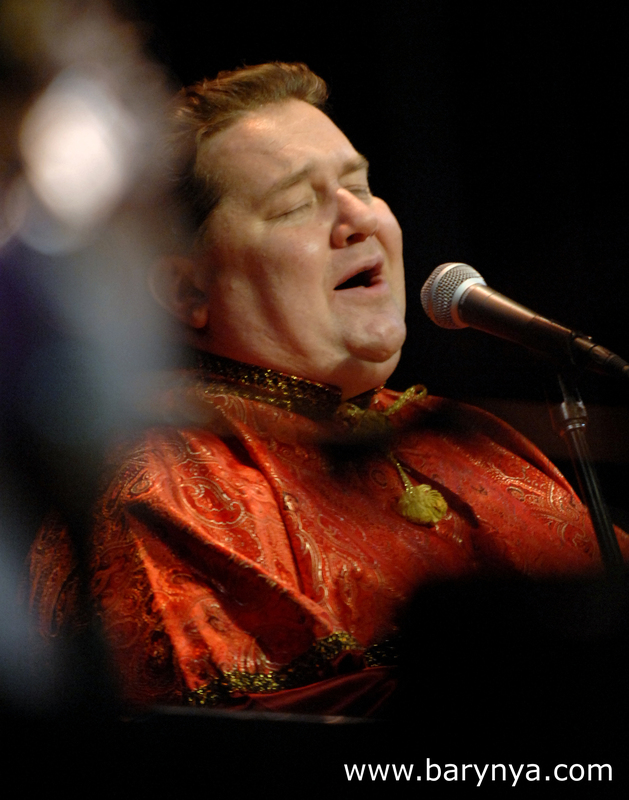 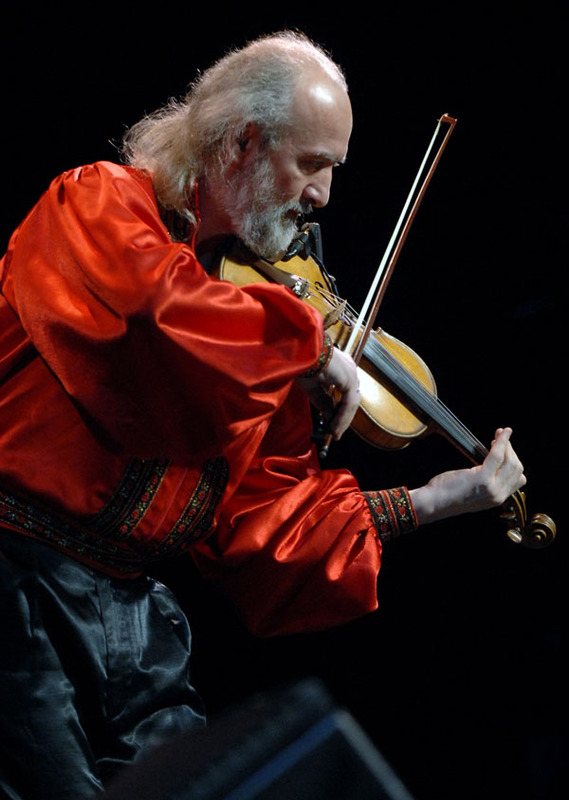 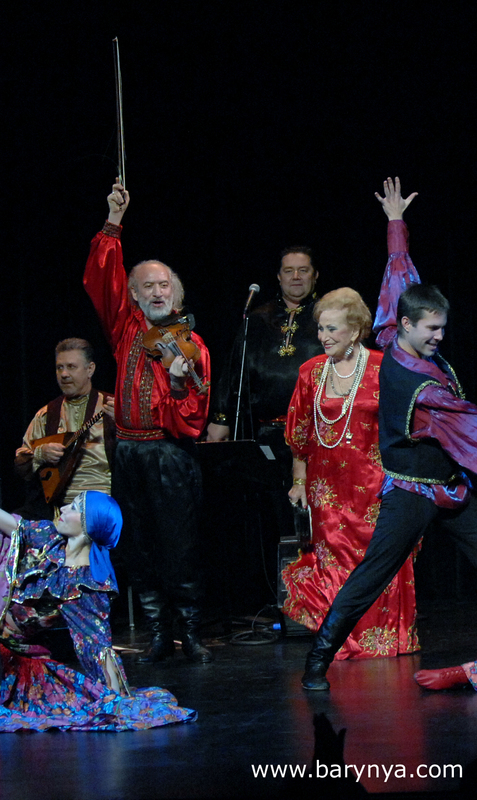 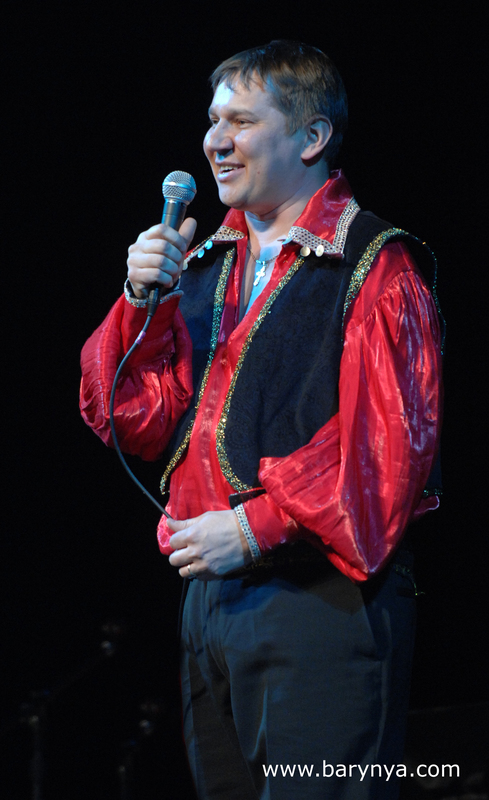 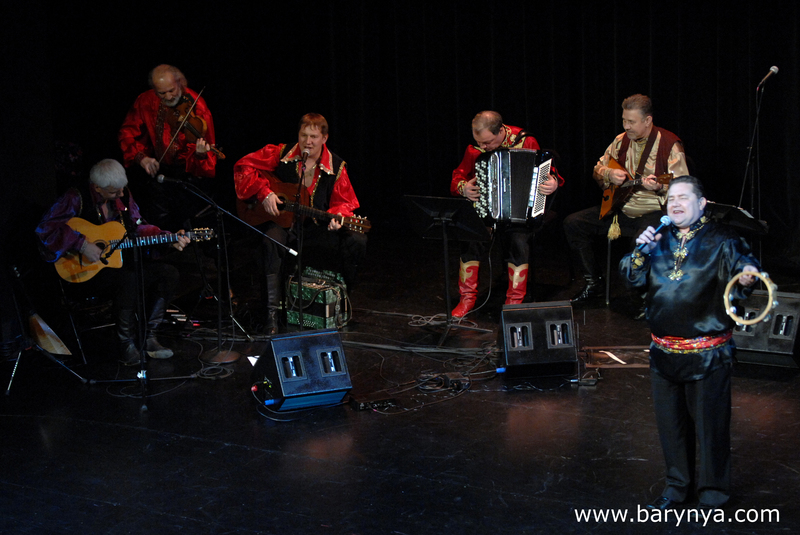 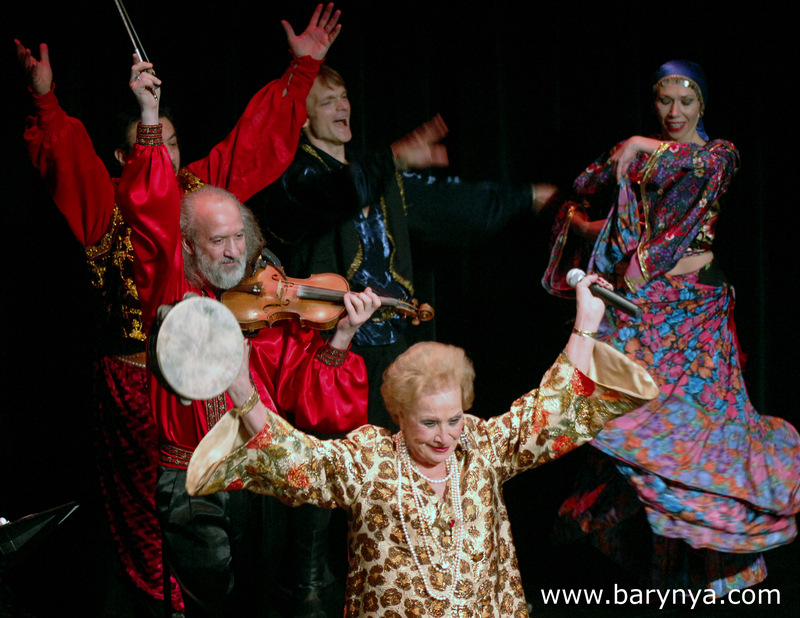 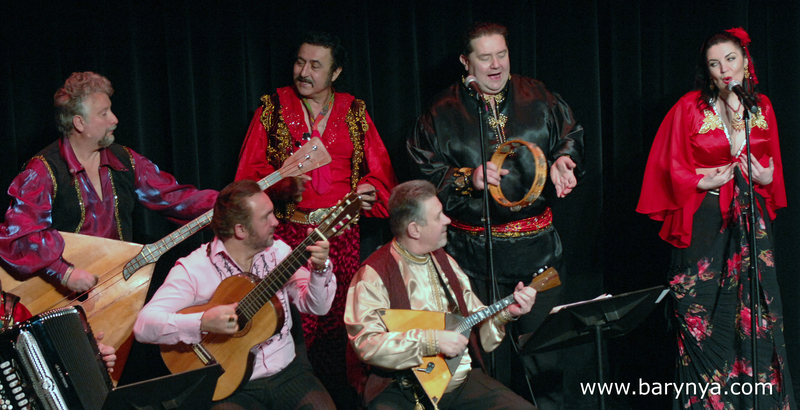 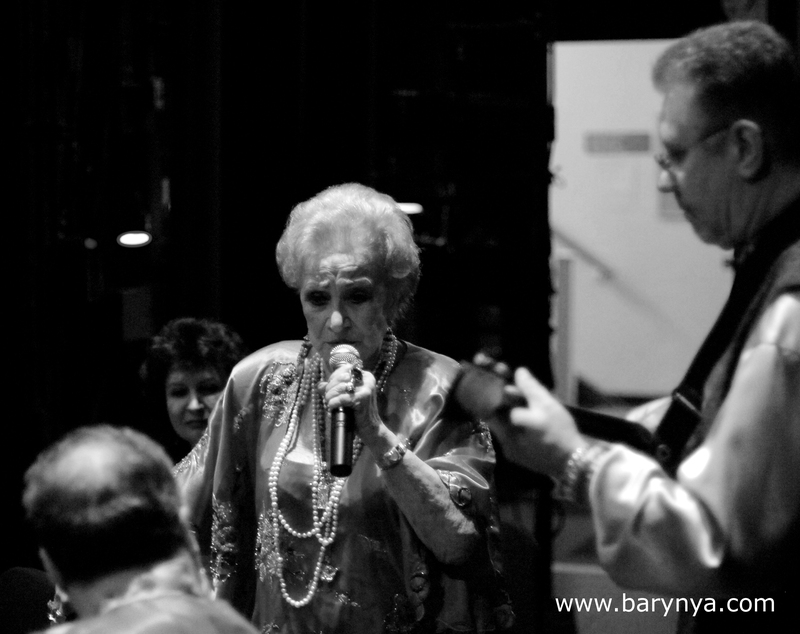 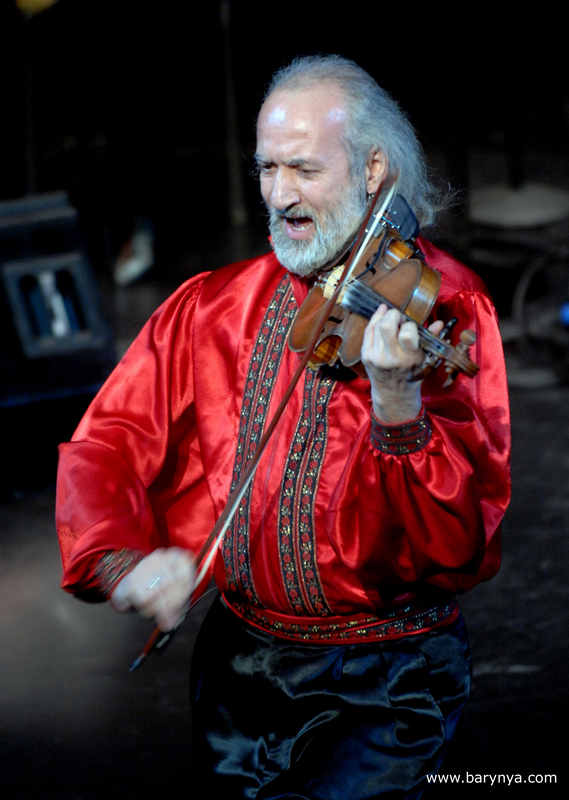 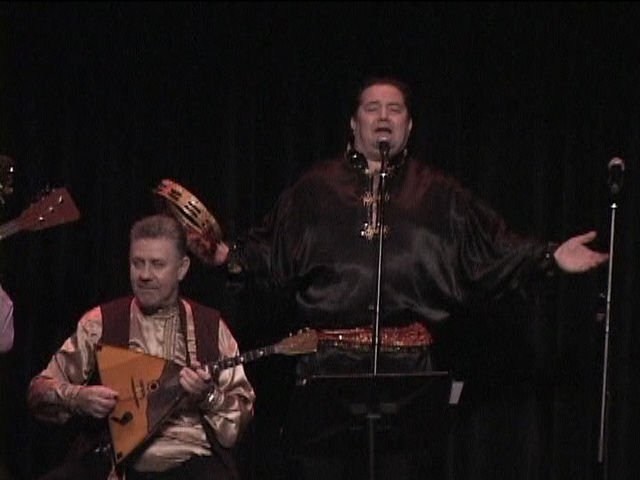 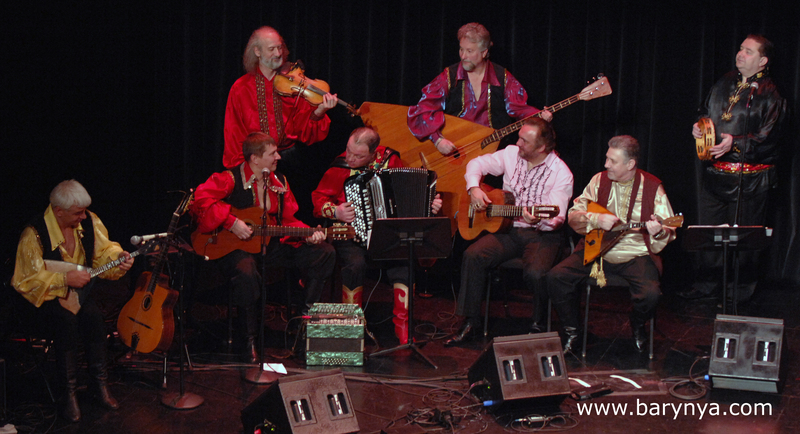 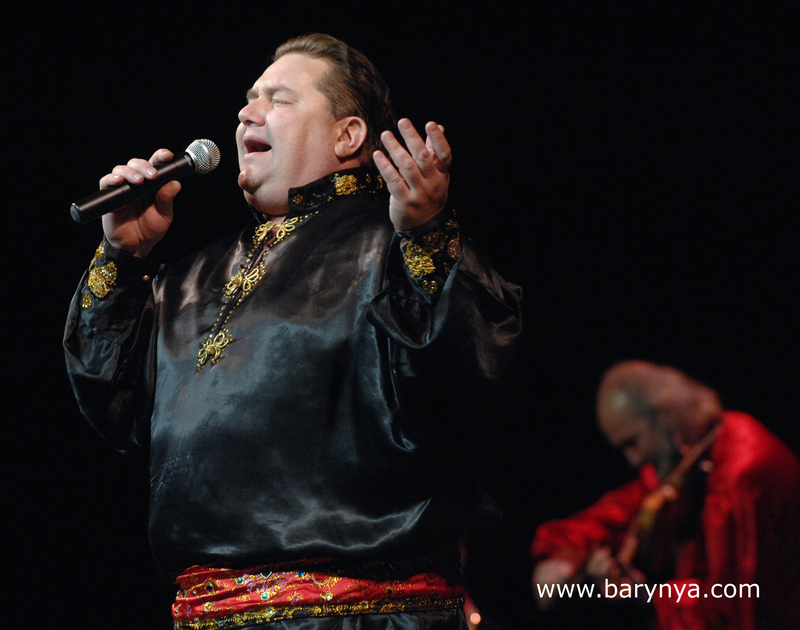 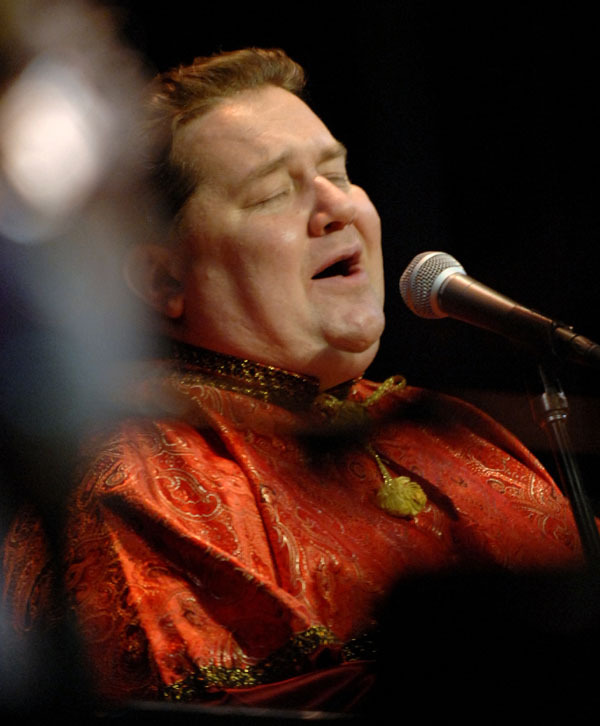 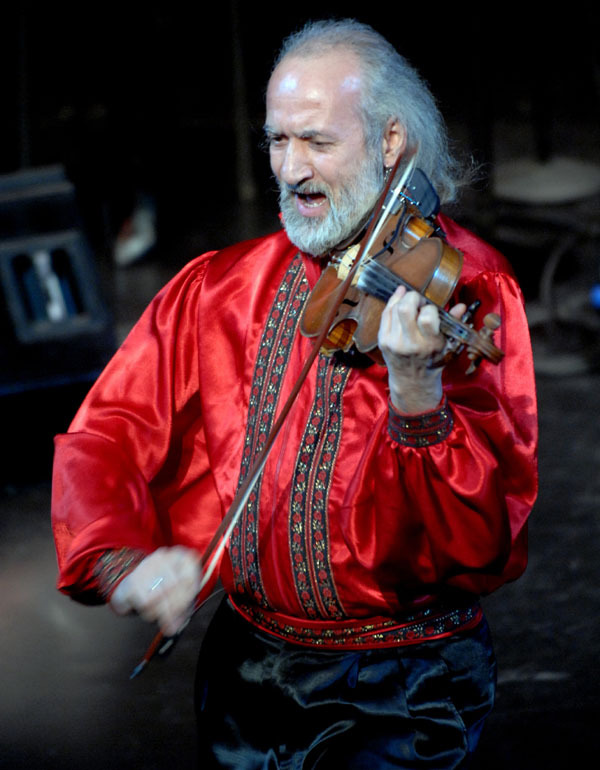 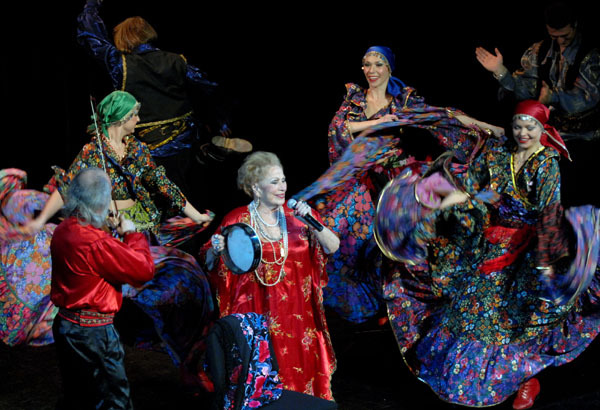 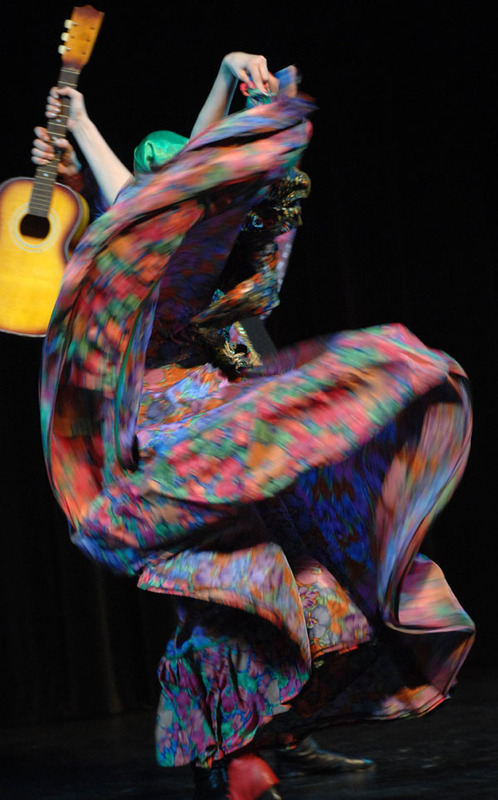 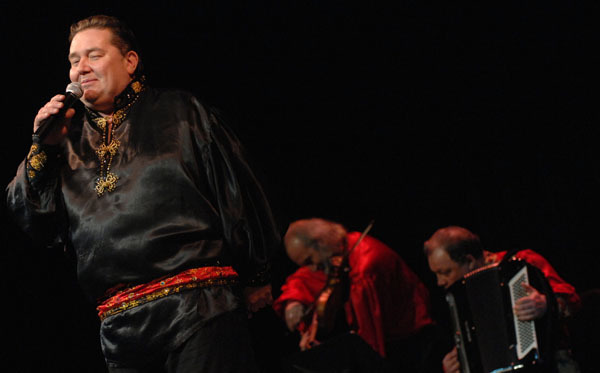 Concert of legendary Russian Gypsy singer Zhenya Shevchenko and Moscow Gypsy Army took place in New York City on Saturday, January 26, 2008 at THE KAYE Playhouse Theater at Hunter College. 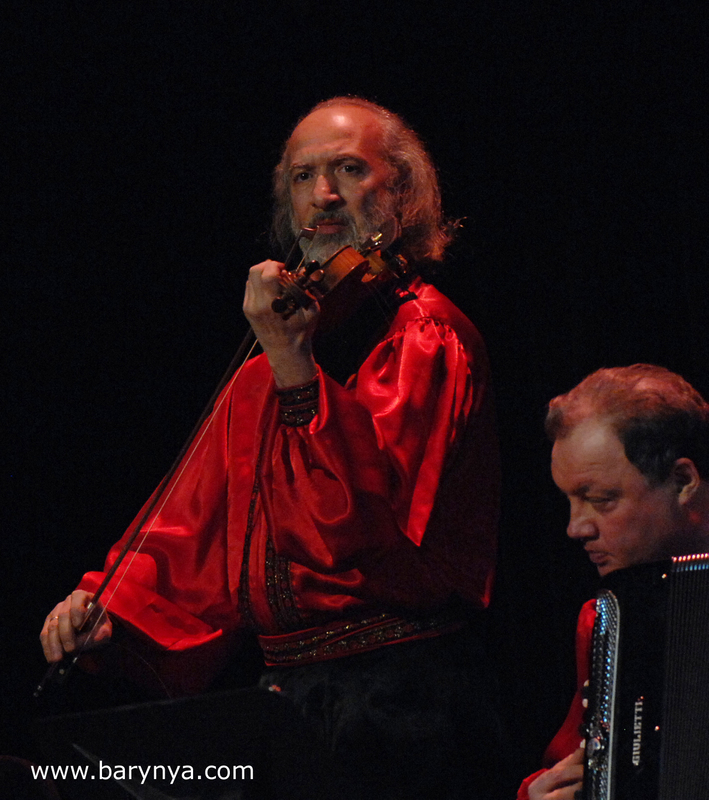 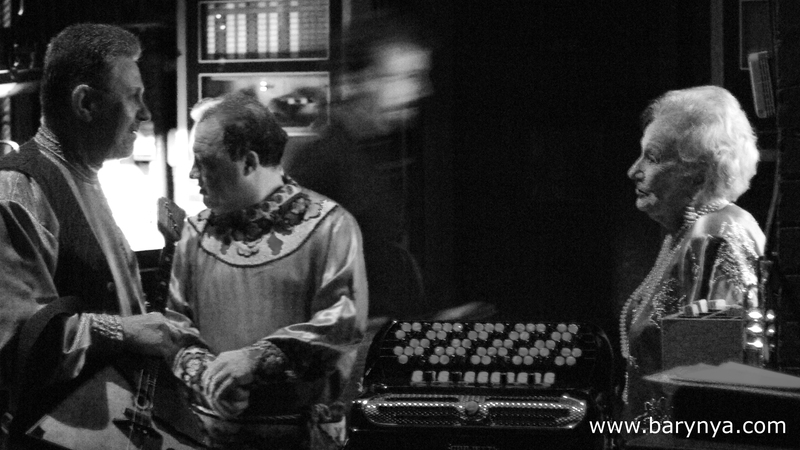 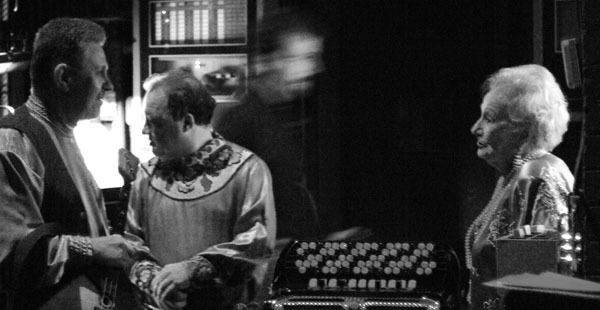 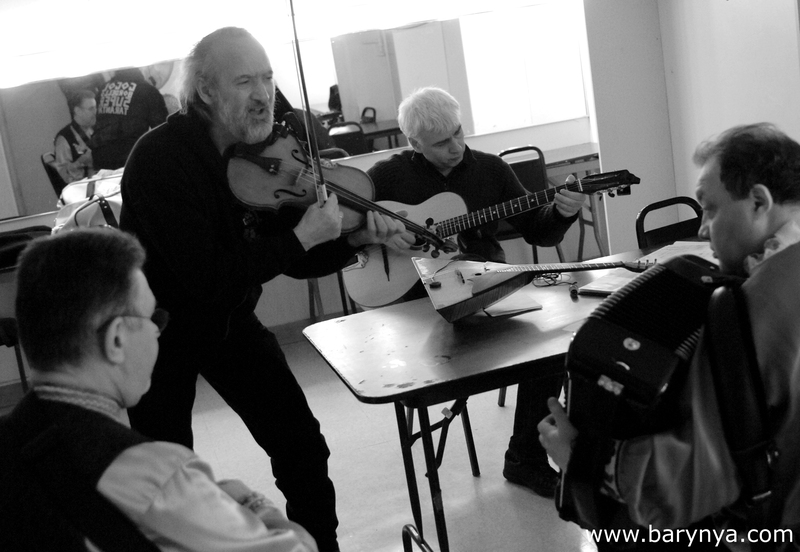 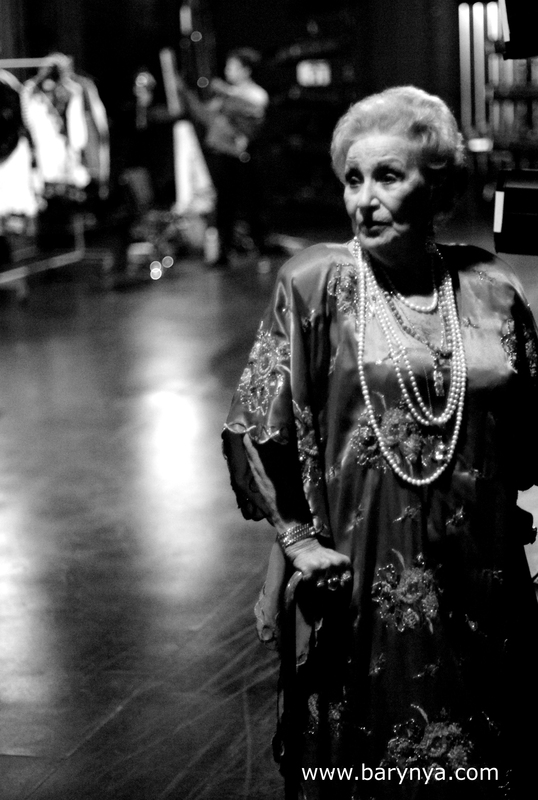 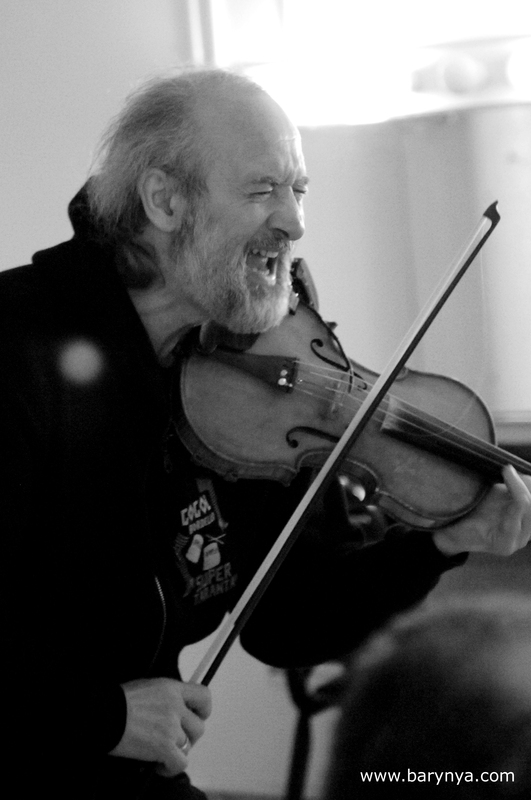 Photos by Dalia Bagdonaite, video by Alexander Feygin. 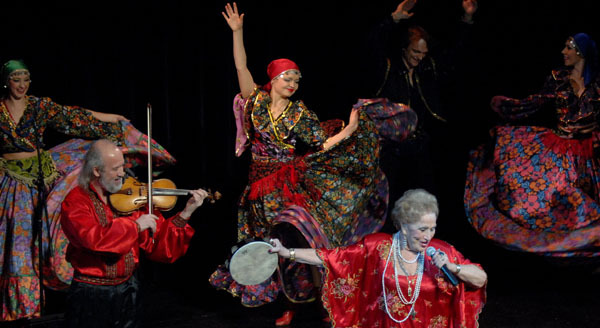 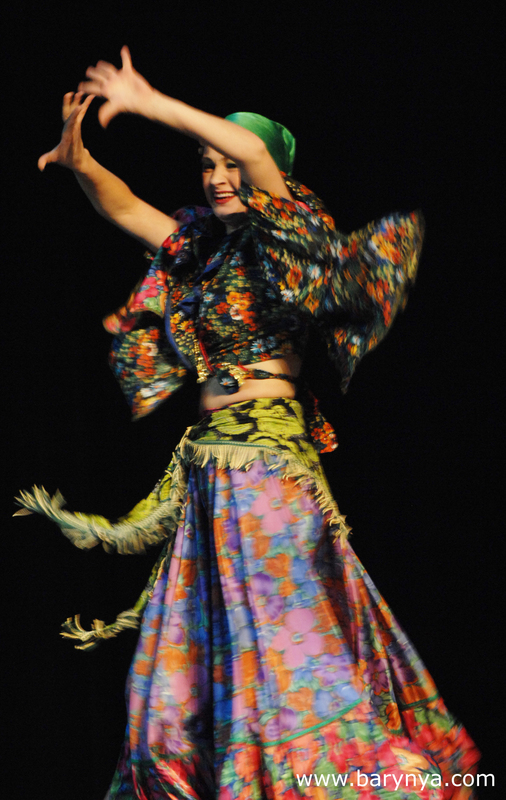 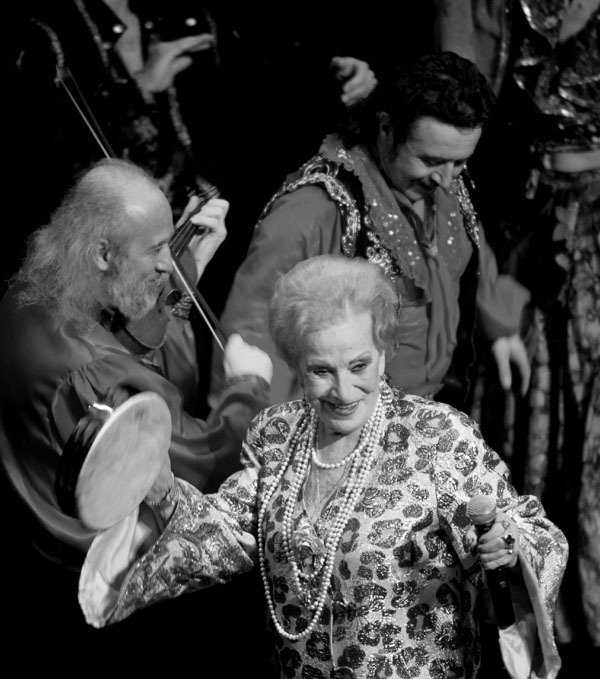 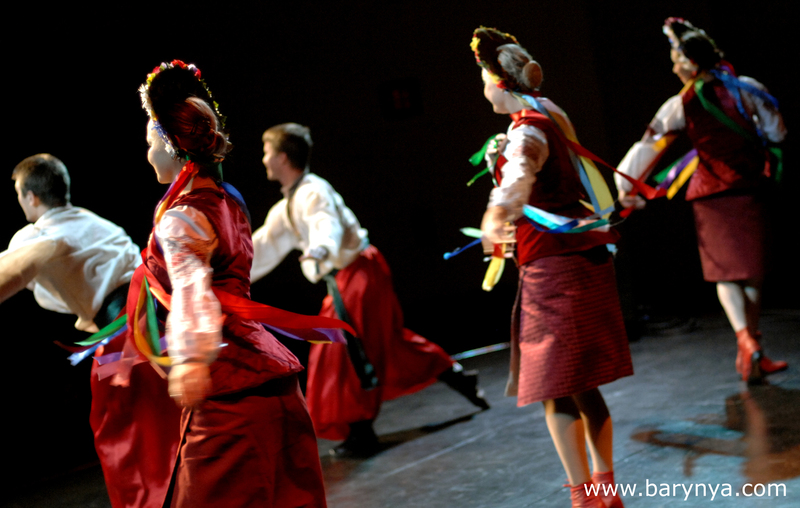 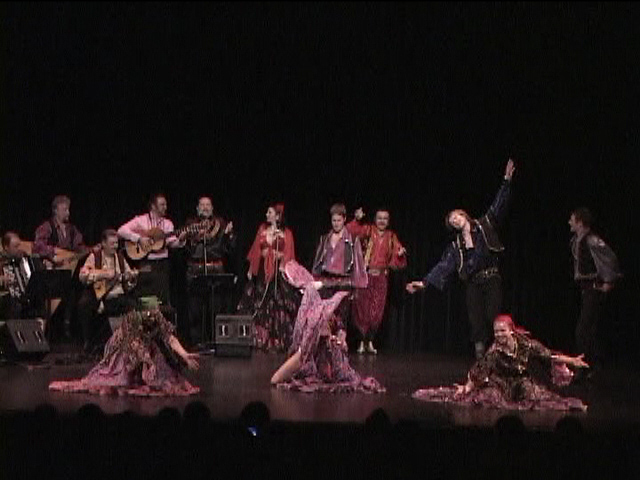 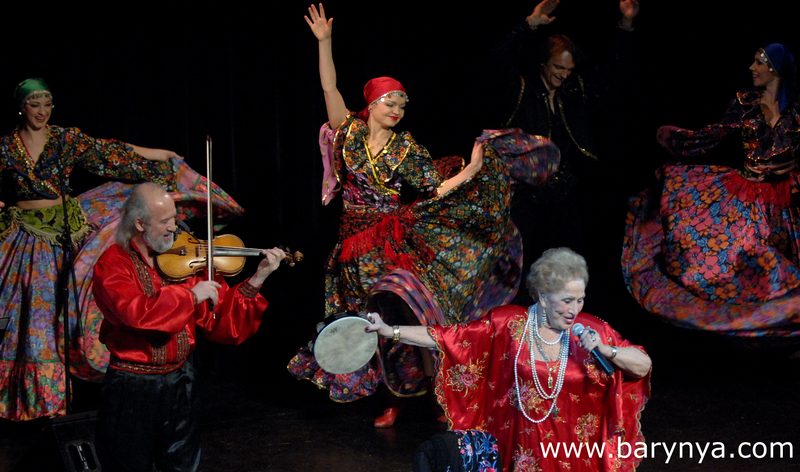 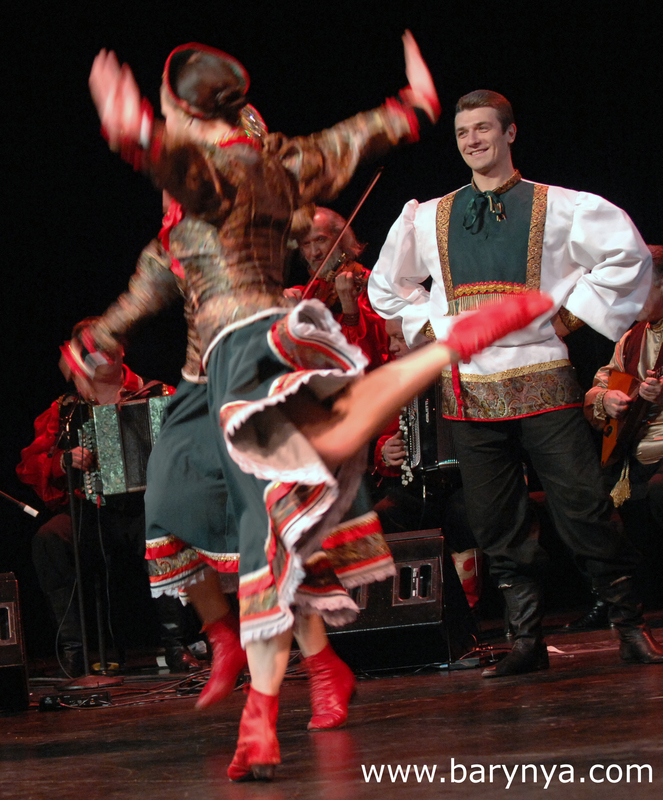 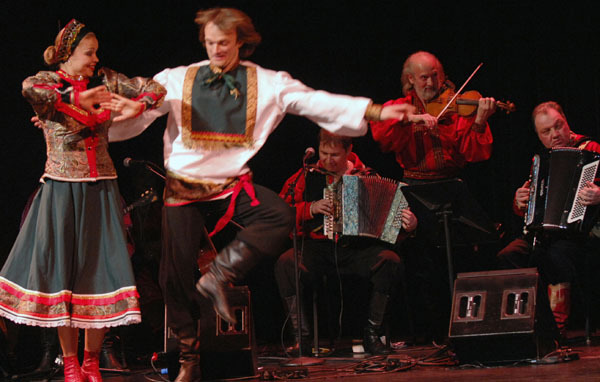 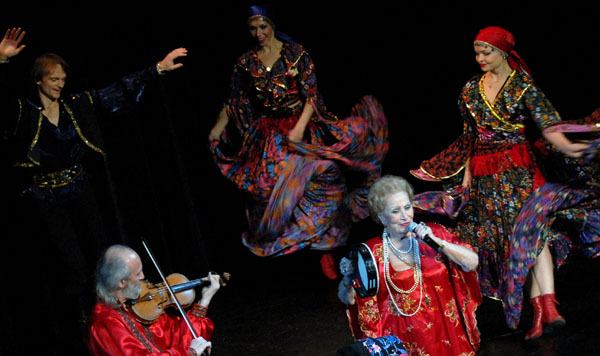 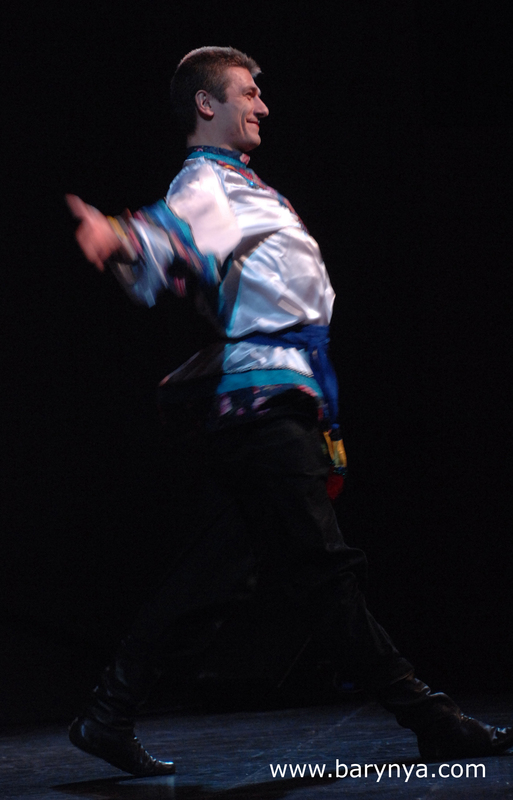 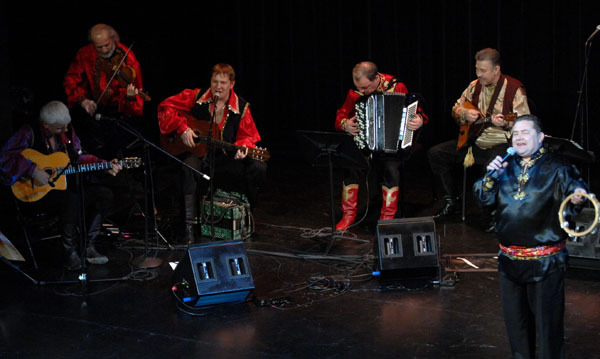 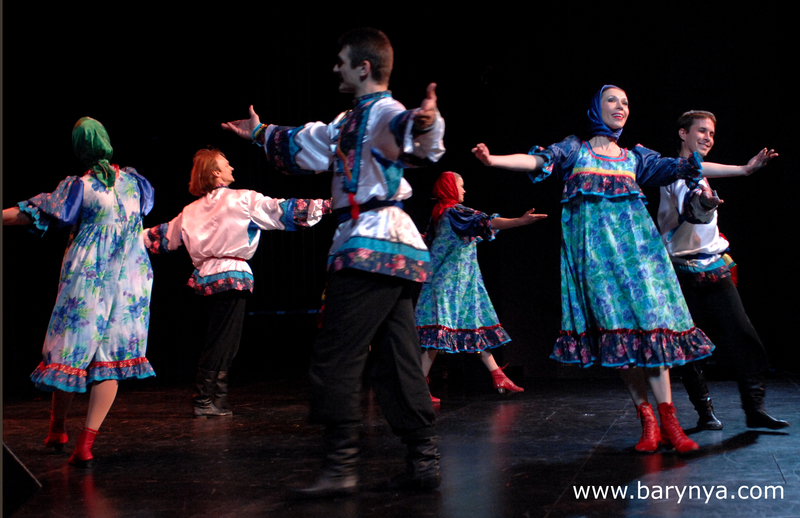 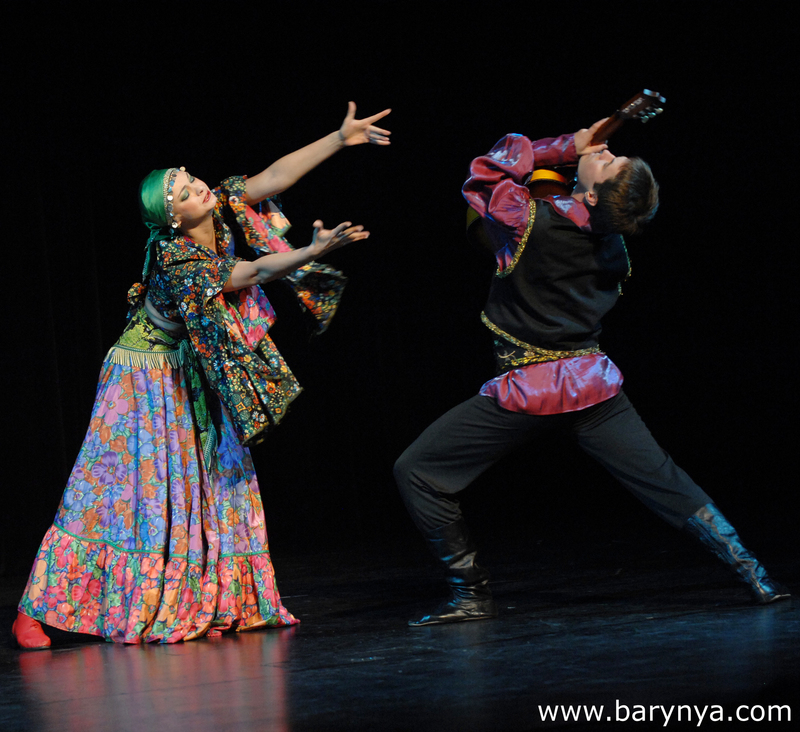 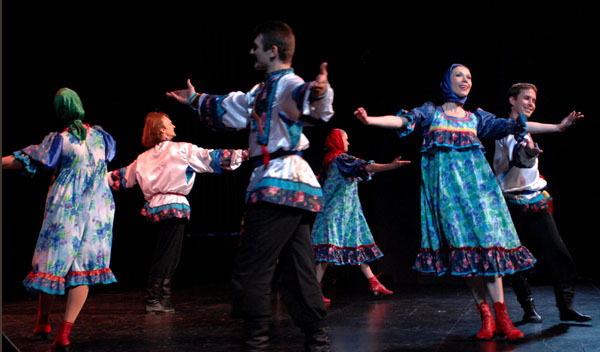 Tsyganski Gypsy Roma (Romani) dance and music ensemble "Moscow Gypsy Army" established in New York City in 2001. 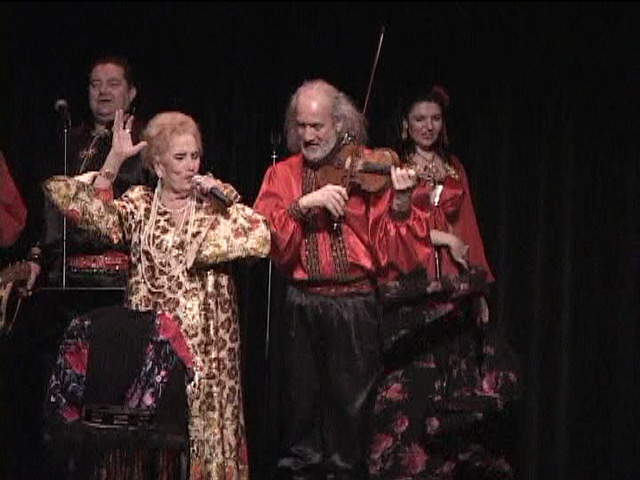 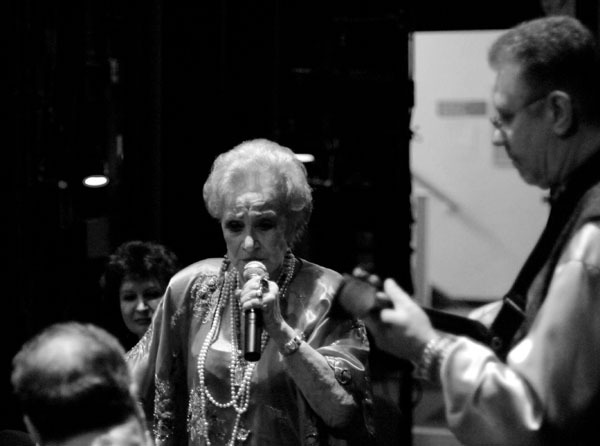 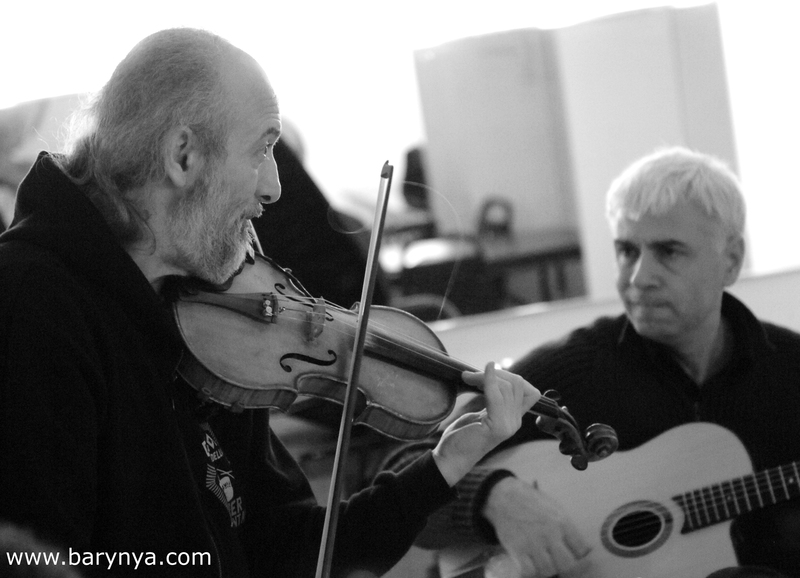 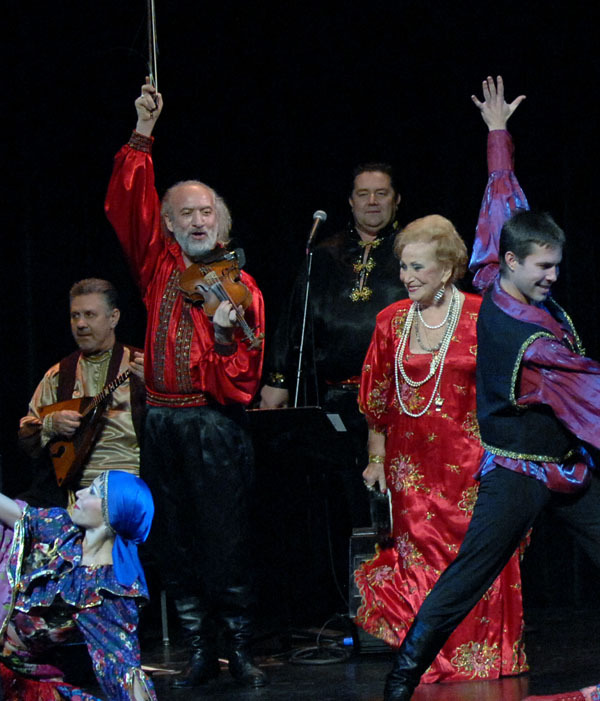 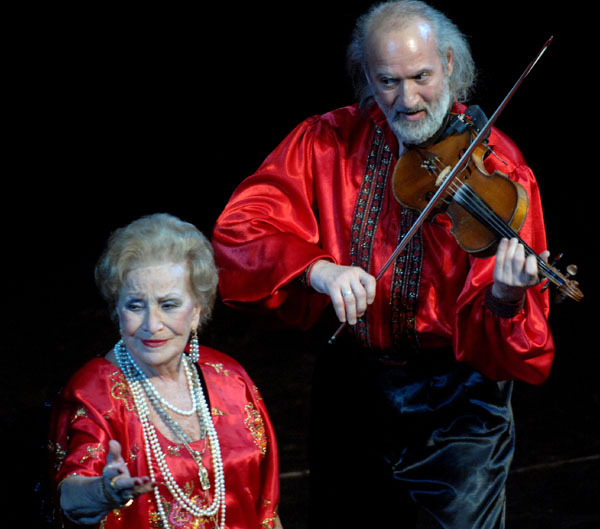 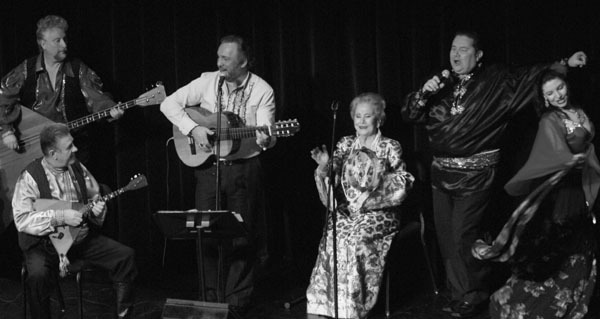 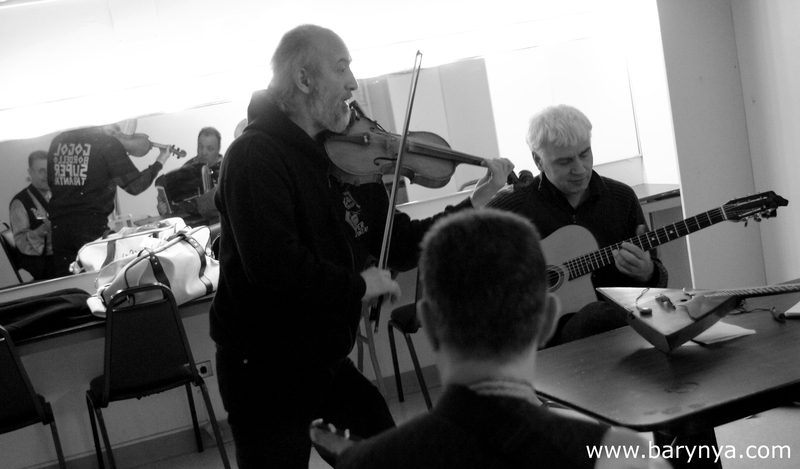 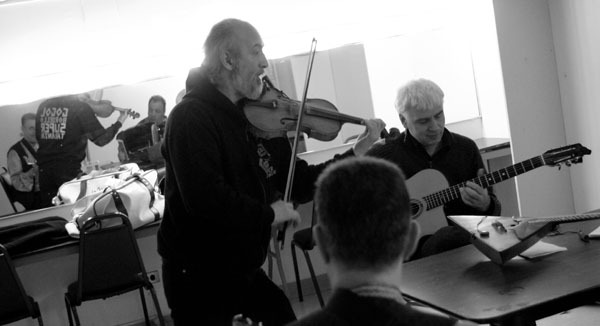 The group performs Russian Gypsy Roma repertoire, classic pieces including "Chardash", ballads, tangos, waltzes and a growing number of popular songs. 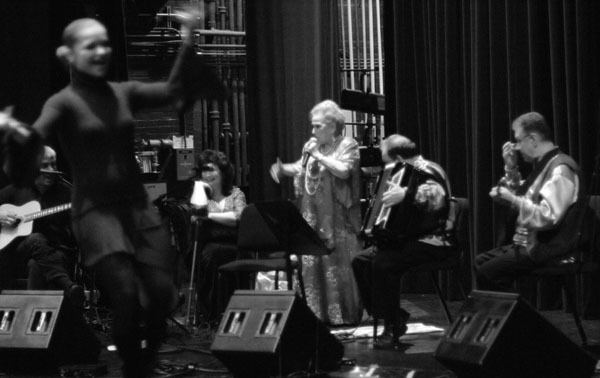 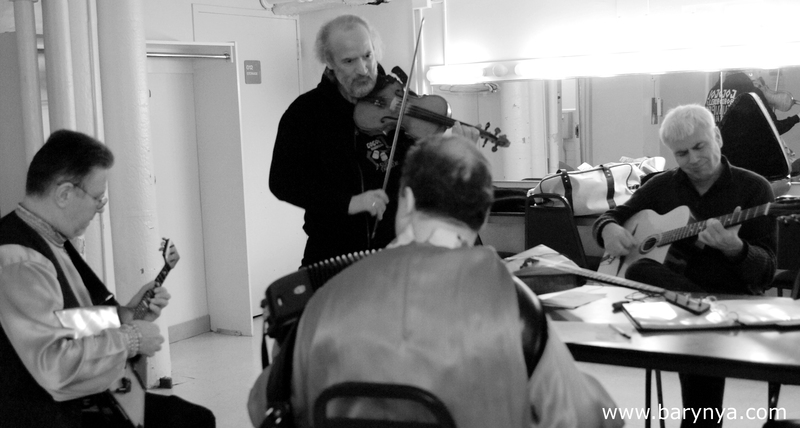 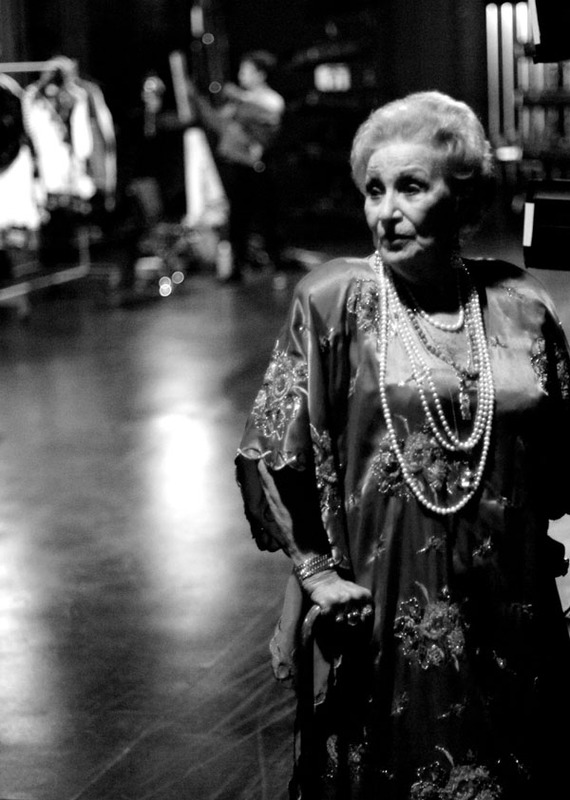 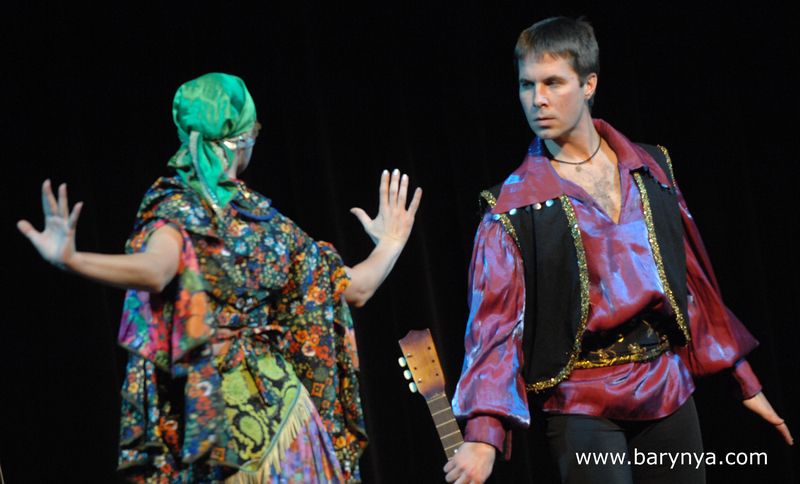 In September 2016 the company was invited to present culture of Gypsy Roma people during Bohemian Festival at the Carnegie Hall in New York City. 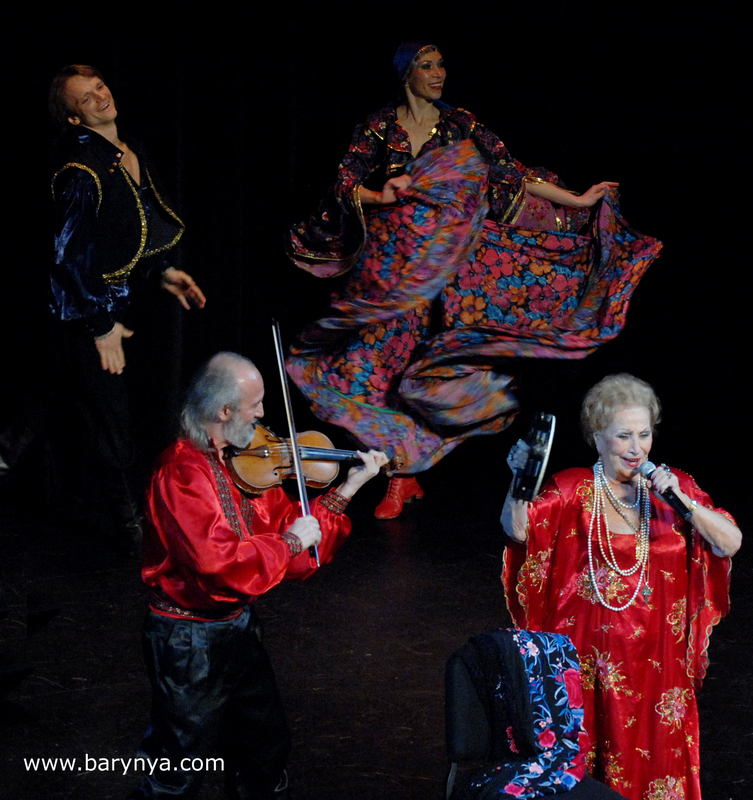 Musicians, singers and dancers of the ensemble were invited to perform at the historic Untermyer Park Gardens Conservancy in Yonkers (New York) for the summer series of international and ethnic music and dance, at the lavish wedding of Anna Anisimova (a.k.a Russian-American Paris Hilton), the daughter of Russian aluminum magnate Vassily Anisimov in 2010, at the World Headquarters of the Church of Scientology in Fort Harrison Hotel in Clearwater, Florida in 2016, at the Great Falls Performing Arts Center in Paterson, New Jersey in 2009. 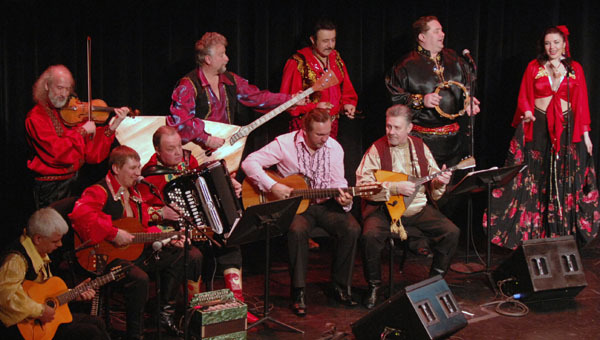 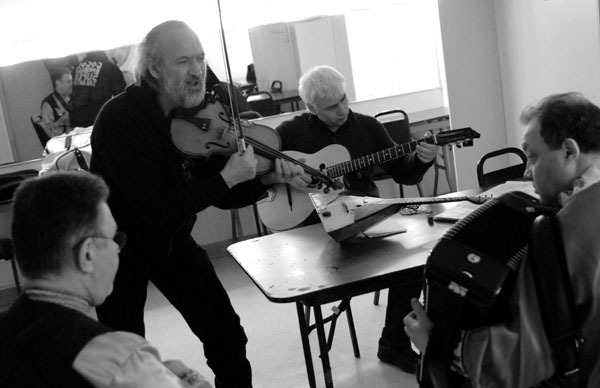 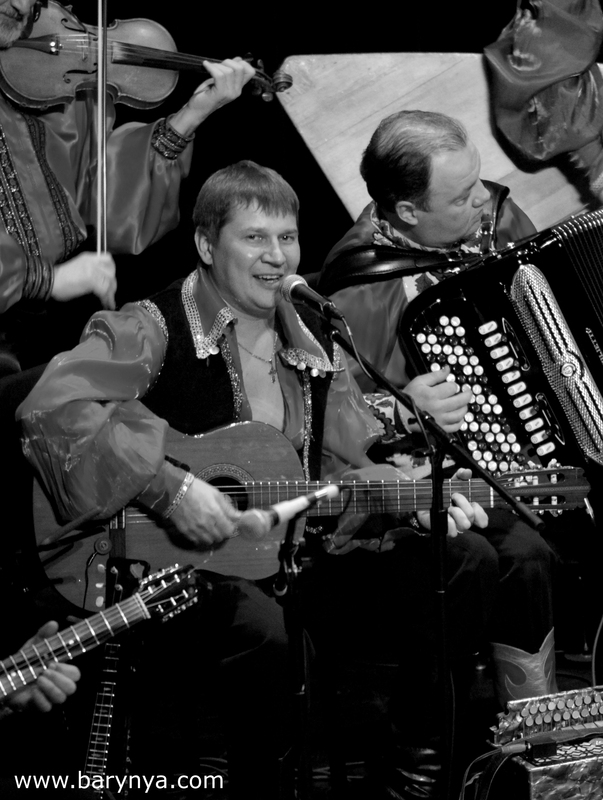 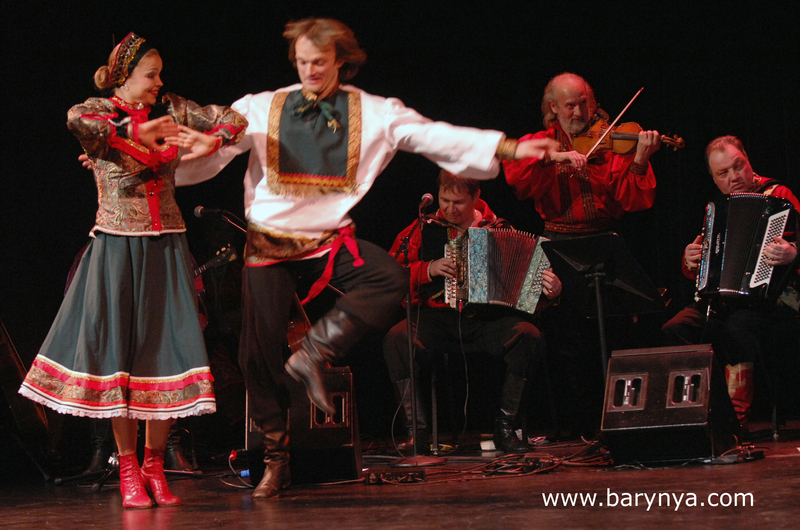 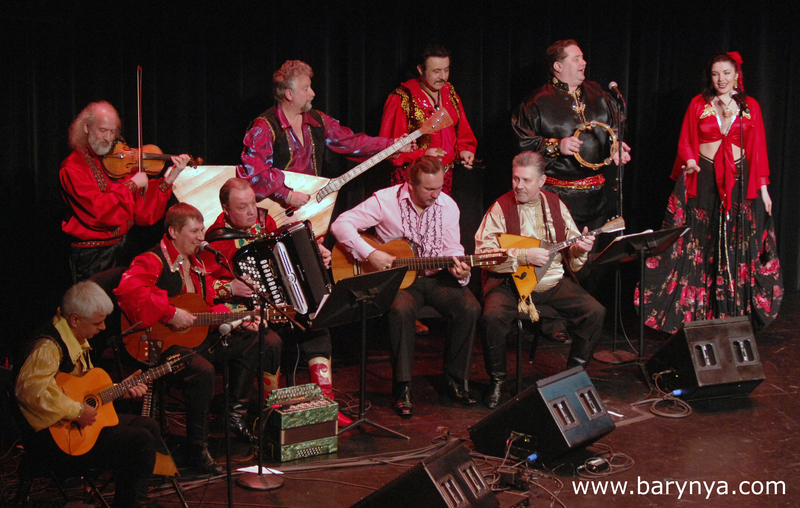 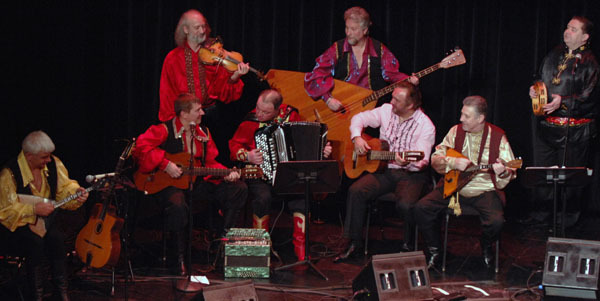 "Moscow Gypsy Army" is available for weddings, theme parties, community concerts, private or corporate events in NYC, Long Island, New Jersey, Connecticut, Philadelphia, PA, Poconos, Florida, and other states as one powerful ensemble or in smaller groups. 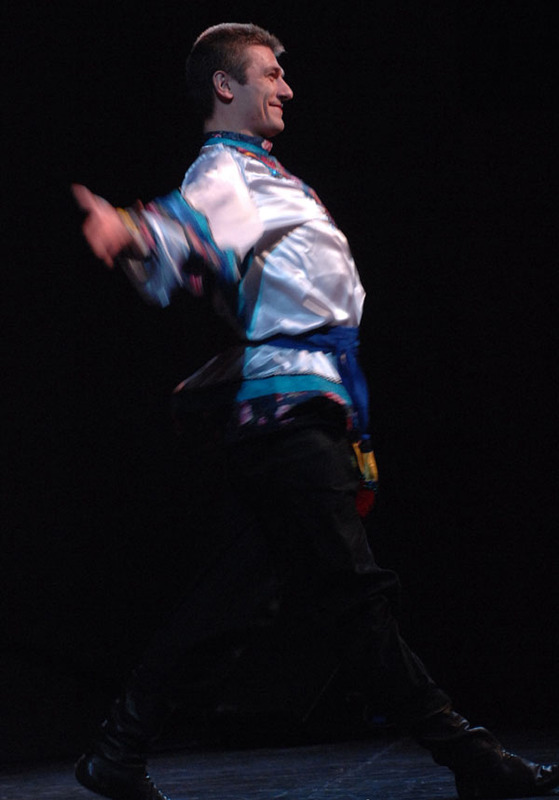 "Clear the path!" 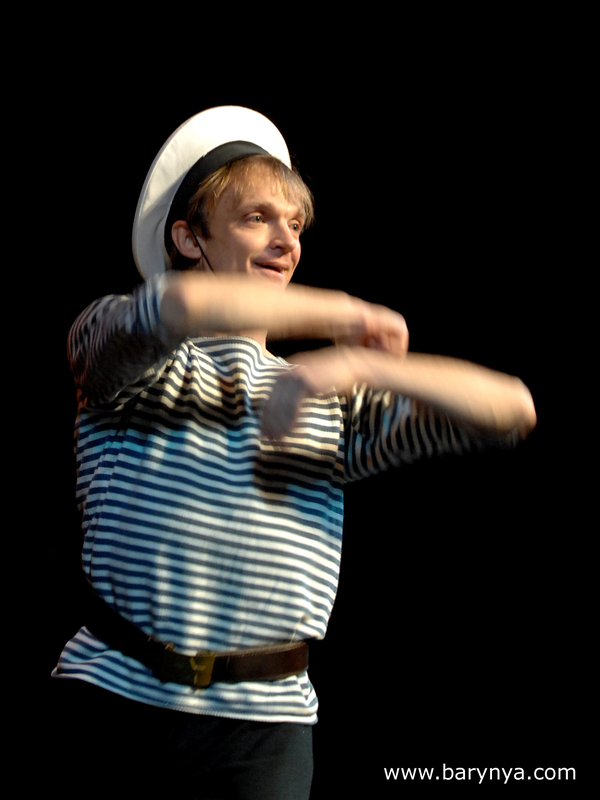 - Zhenya Shevchenko - "Дайте ходу пароходу!" 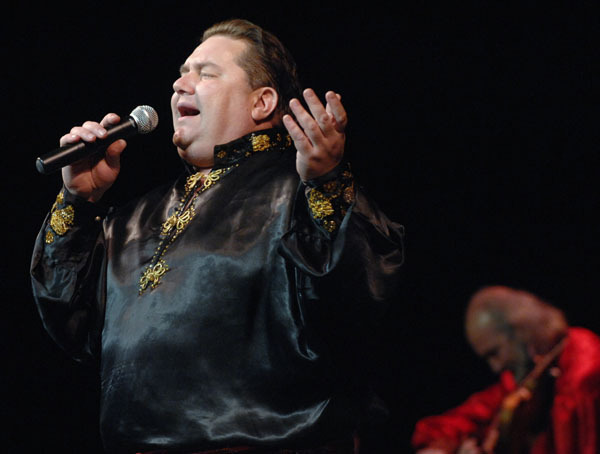 Vasiliy Romani - "Otrada" - Василий Романи - "Живёт моя отрада"
"I will recognize my darling" - Zhenya Shevchenko - "Я милого узнаю по походке"
"Candies-Bagels" - Zhenya Shevchenko - "Конфетки-бараночки"
"Girl Nadia" - "Девочка Надя"
"Dari-Dari" - Alexander Menshikov - "Весёлой шумною толпою"
"The Long Road" - Alexander Menshikov - "Дорогой длинною"
"Kai Yone" - Alexander Menshikov - "Кайоне"
Gypsy dance "Tsyganochka" - Gabriel Yakubov - Гриша Якубов - "Цыганочка"
Alexander Menshikov - "Glasses" - Александр Меньшиков - "Стаканчики"
To order Zhenya Shevchenko 2008 DVD please click PayPal image below. 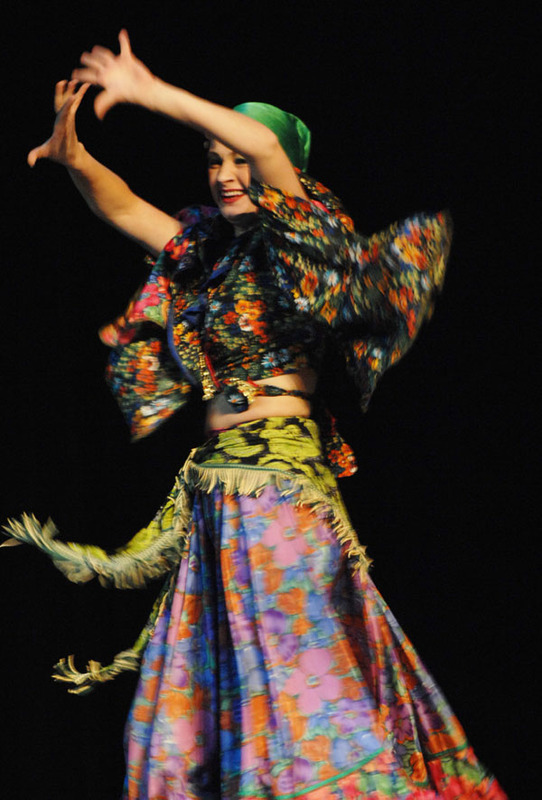 Price is $30 US dollars including United States Postal Service first class or airmail shipping anywhere in the world. 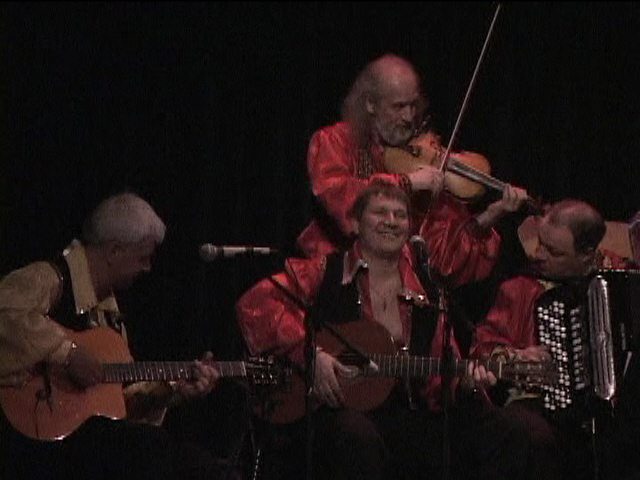 DVD is usually shipped withing 48 hours of your payment. 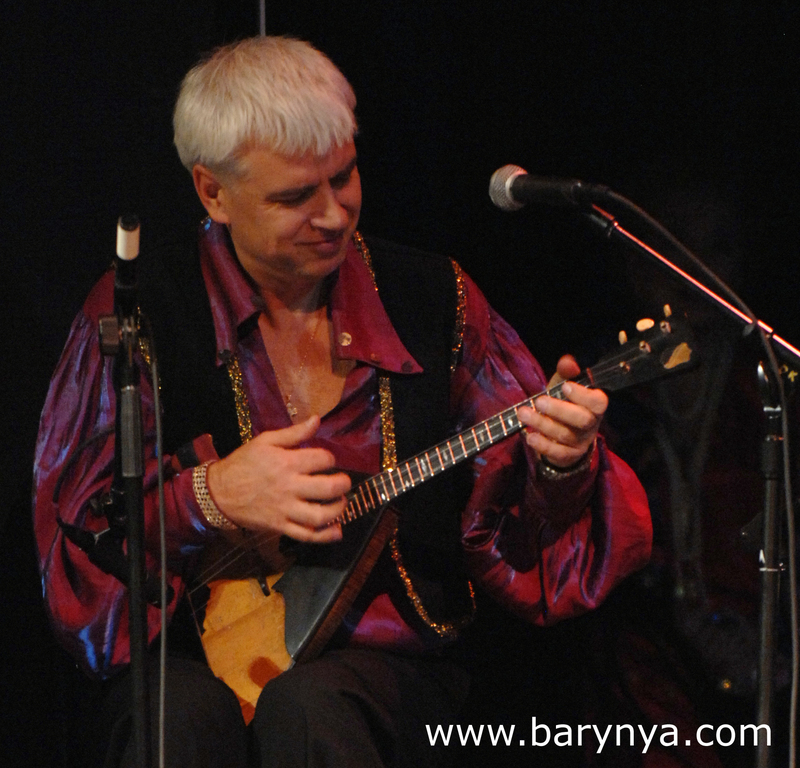 This compact DVD is offered only from Barynya merchandise website with permission of Zhenya Shevchenko. 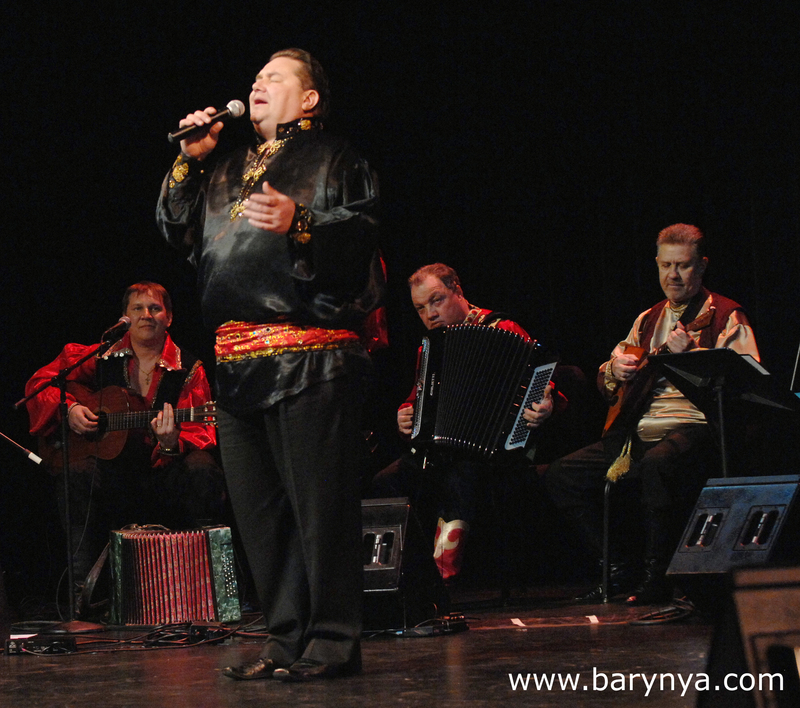 "Moscow Gypsy Army" led by famous ethnic Gypsy singer, 7-string guitar player and musician Vassiliy Yancovic-Romani presented a program of traditional Gypsy (Romani) songs, instrumental numbers and dances on Tuesday, September 13th, 2016 at the Temple Bnai Jeshrun located in Short Hills, New Jersey. 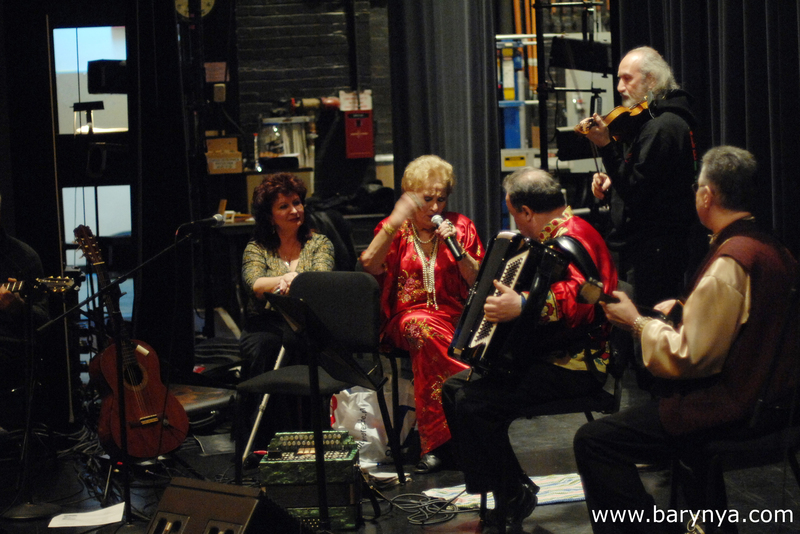 Exact address: Temple Bnai Jeshrun, 1025 S Orange Ave, Short Hills, NJ 07078, website address: www.tbjshorthills.org. 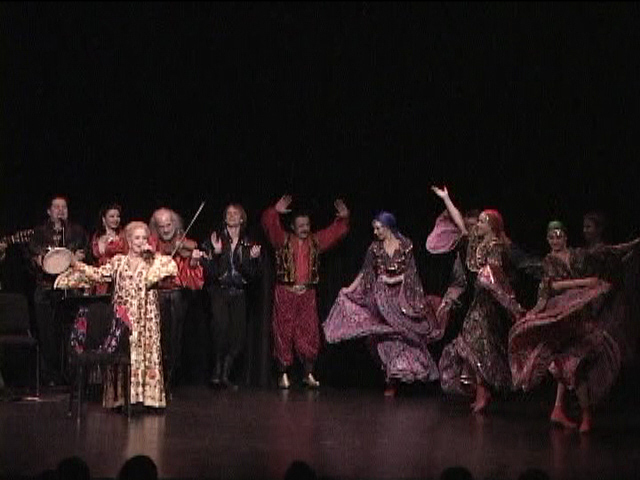 Cast: Mikhail Smirnov, Elina Karokhina, Vassiliy Yancovic-Romani. 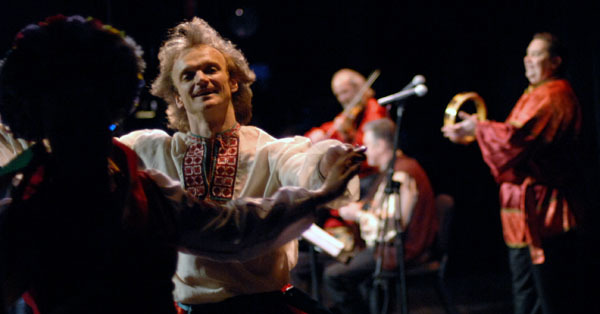 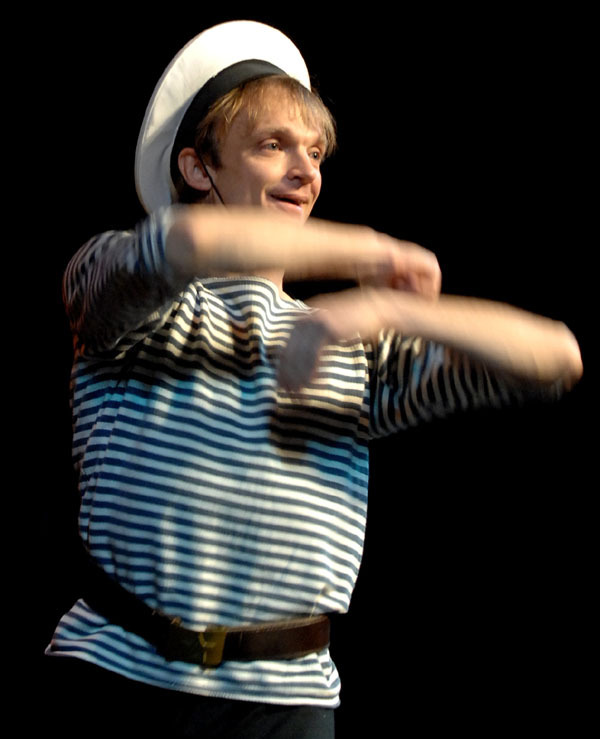 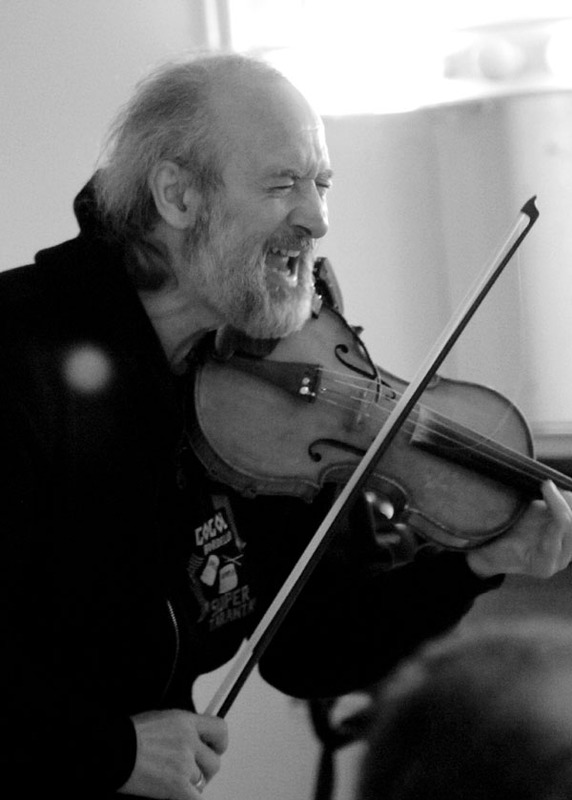 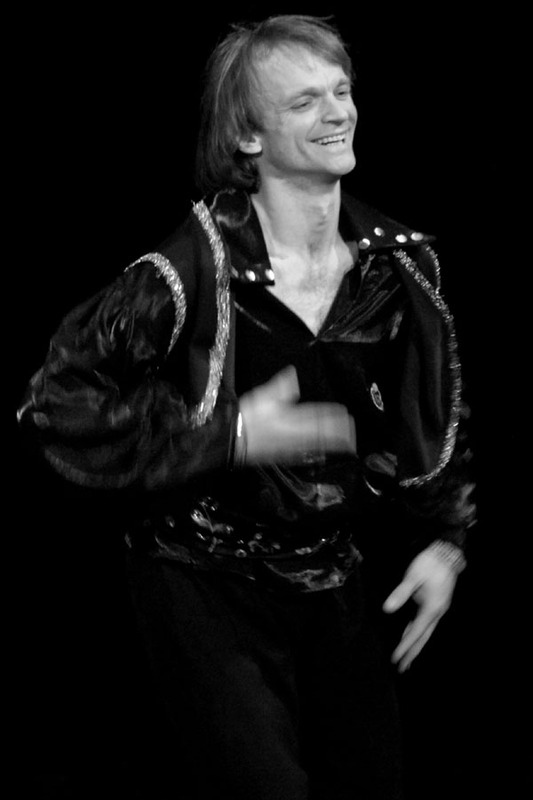 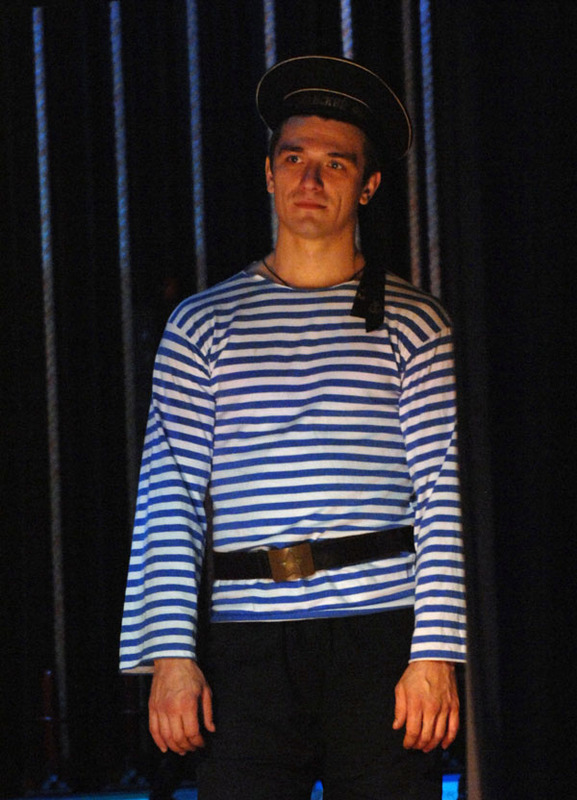 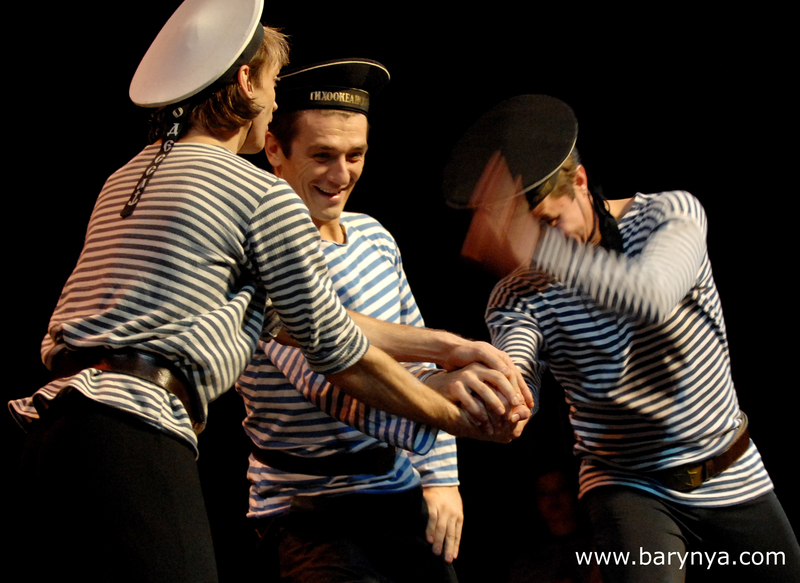 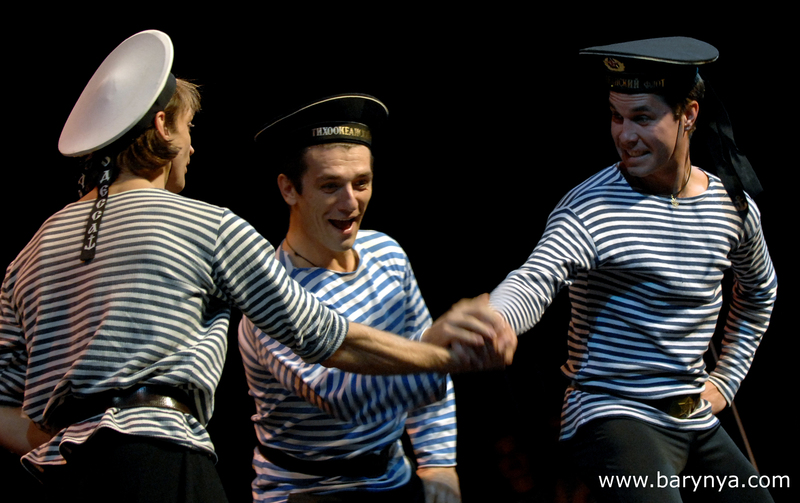 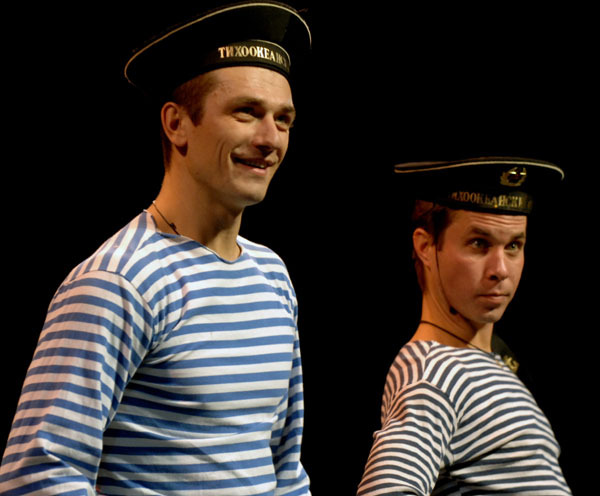 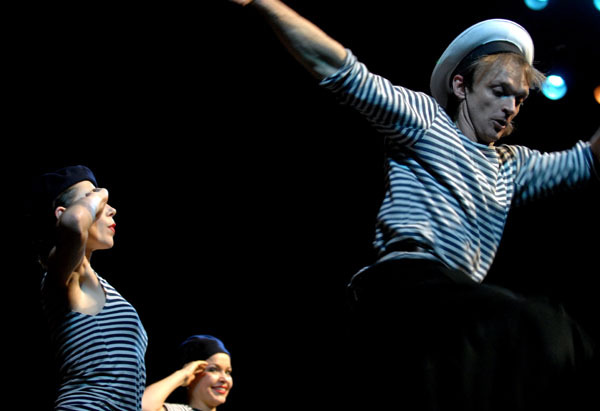 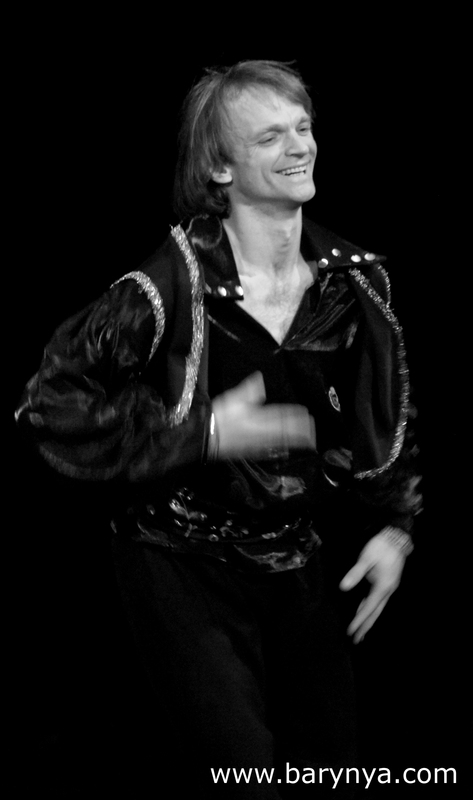 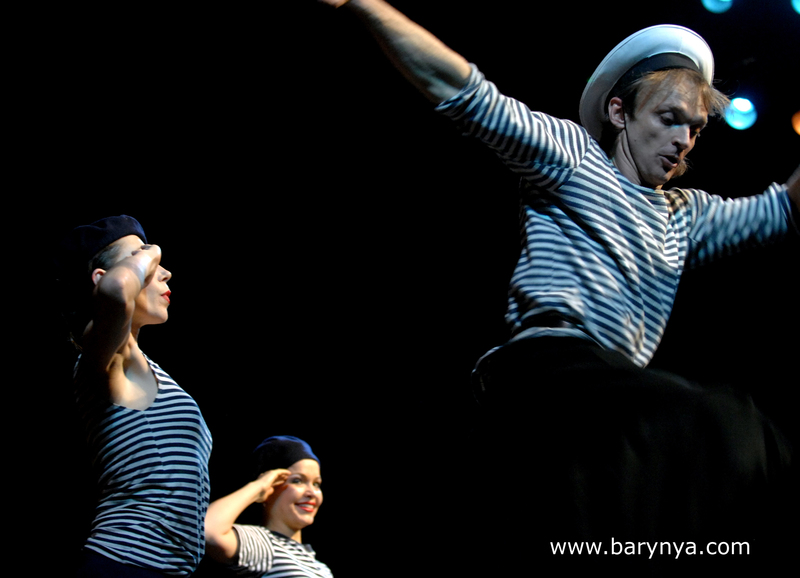 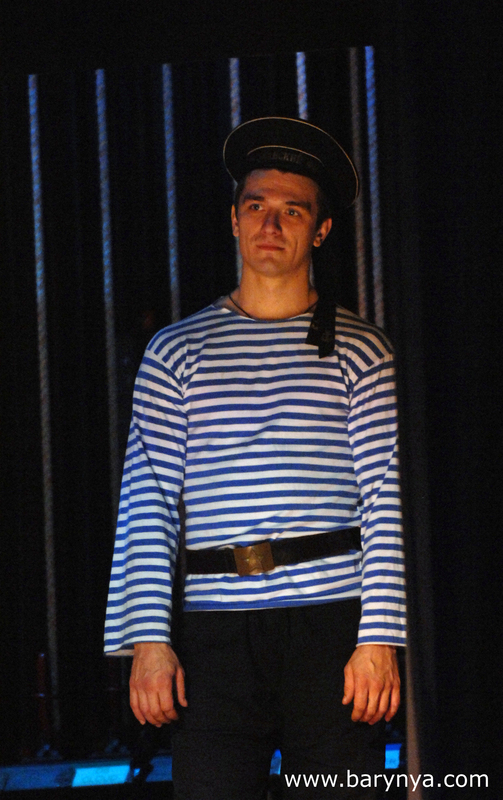 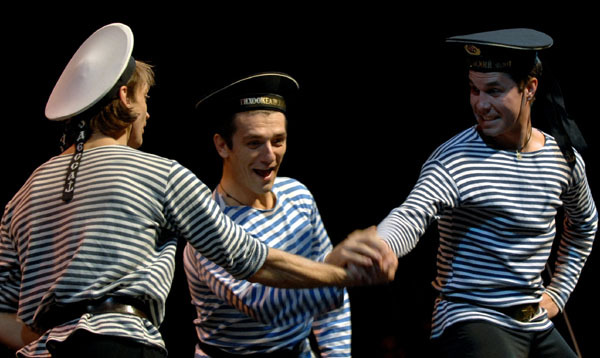 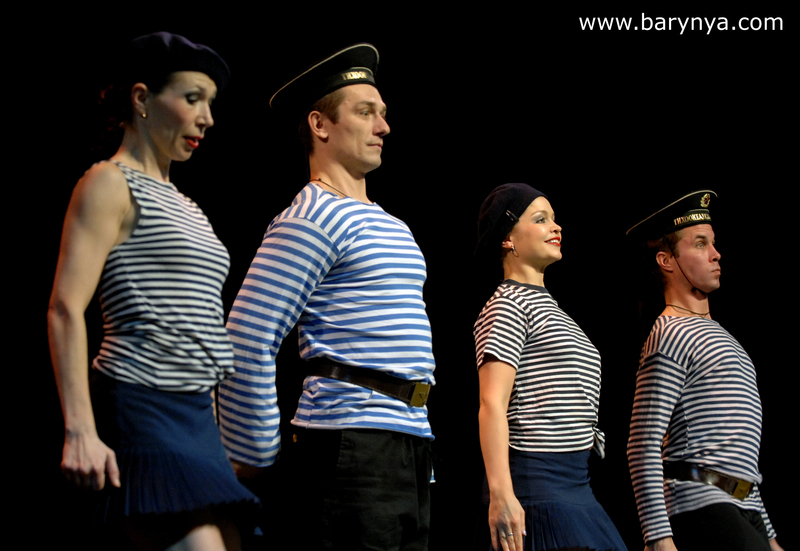 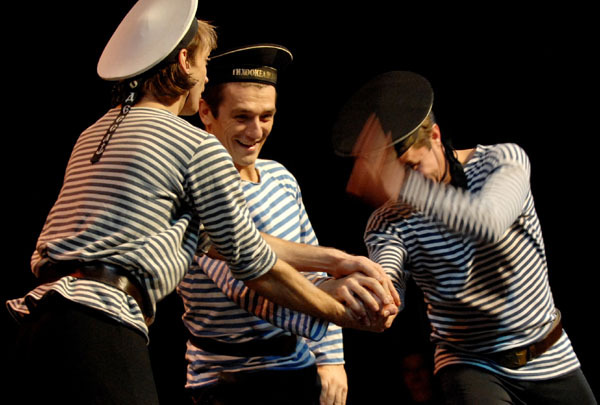 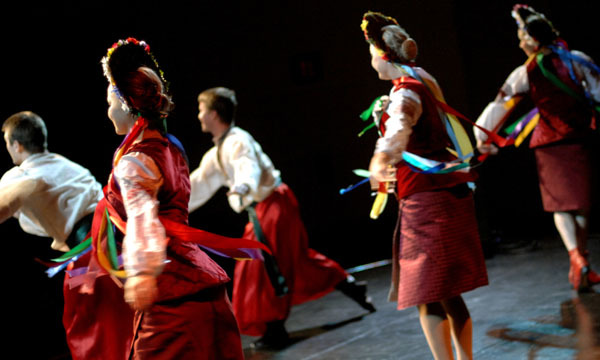 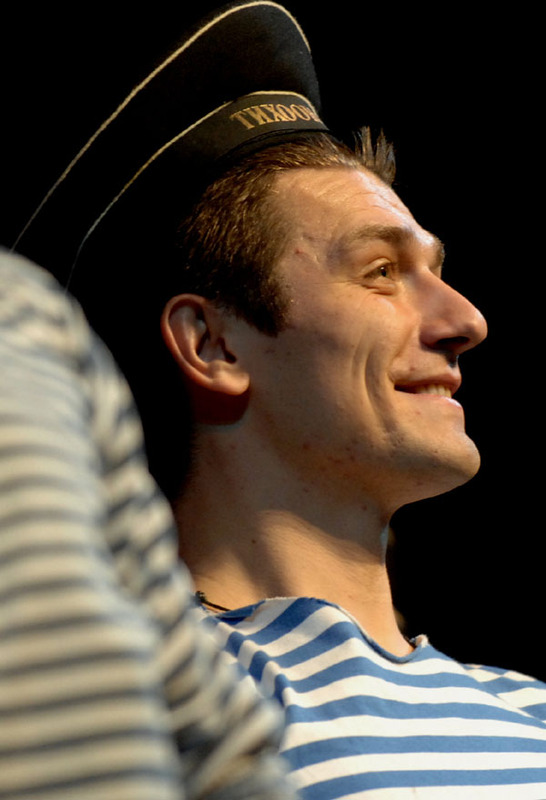 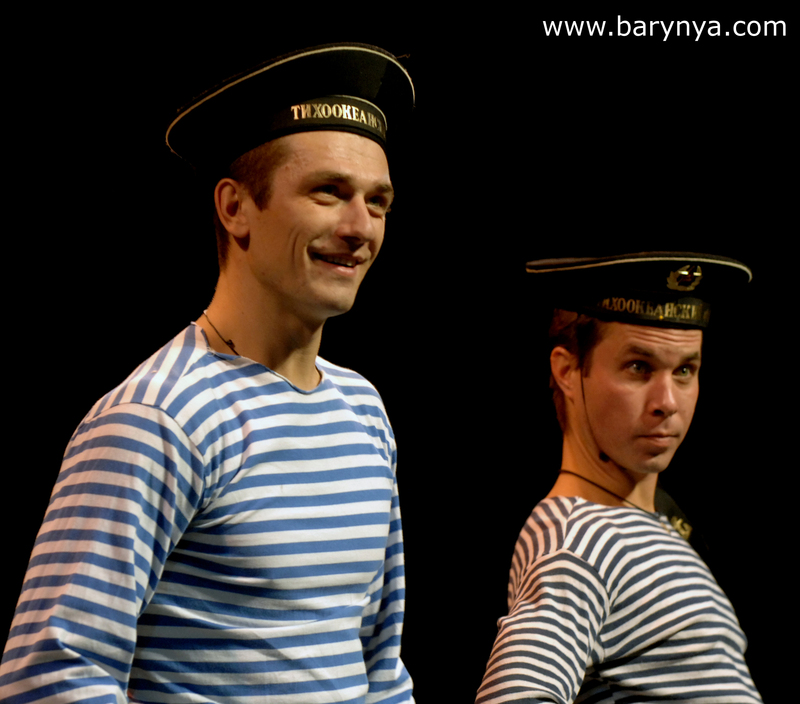 Program of performance included "Dark Eyes", "Mato", "Two Guitars", "Shatritsa", "Chardash", "Мохнатый шмель", "Mardjandja", "Long Road" ("Дорогой длинною"), "Kai Yone", "Jelem" and other selections. 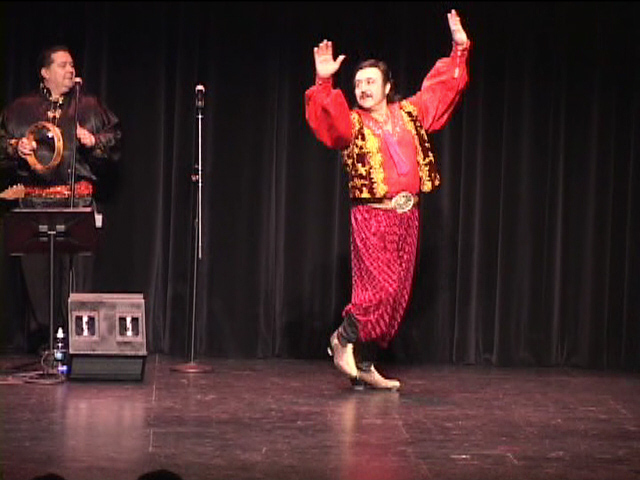 Some of the guests participated in singing and dancing.